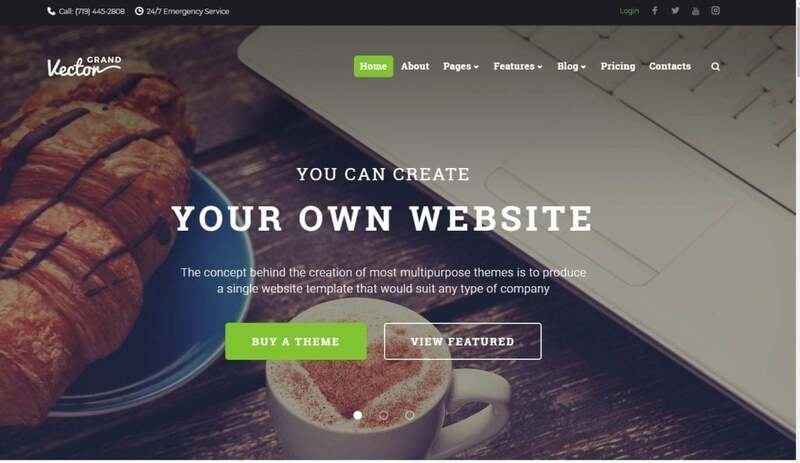 We have already written posts about how easy it is to create a website with a template. 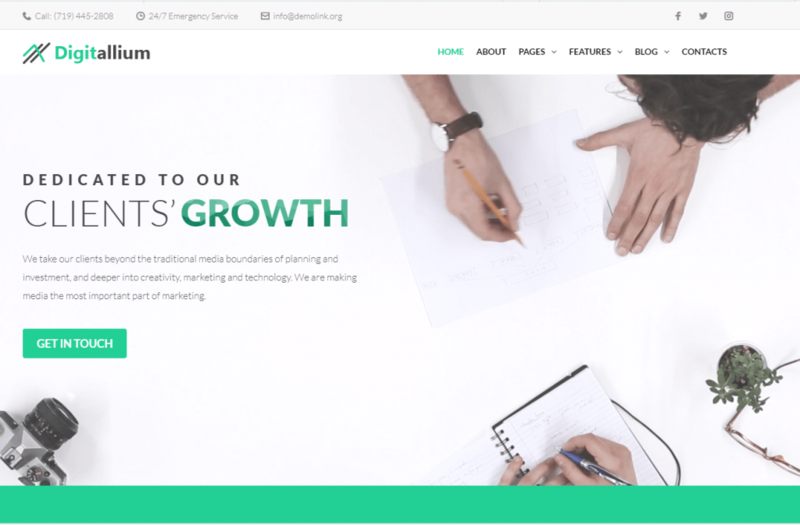 It’s even easier with the help of TemplateMonster because our templates come with life-long support. The most complicated thing lies in choosing a template because we offer hundreds of them! 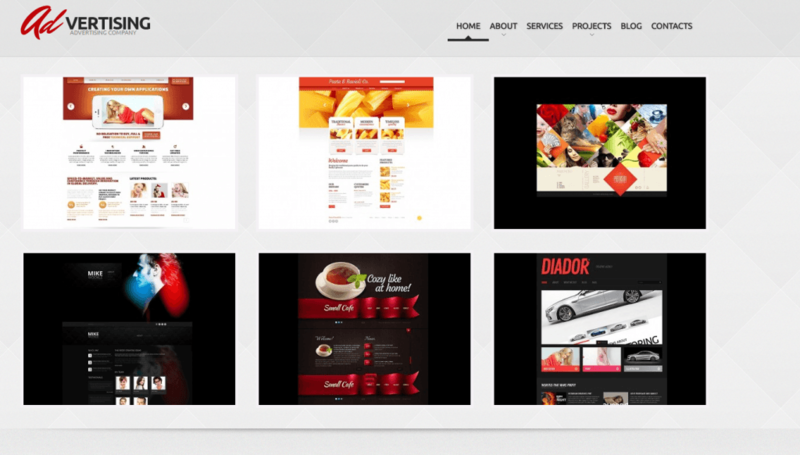 Finally, we decided to create a fresh collection of the new and best templates for different spheres and purposes. 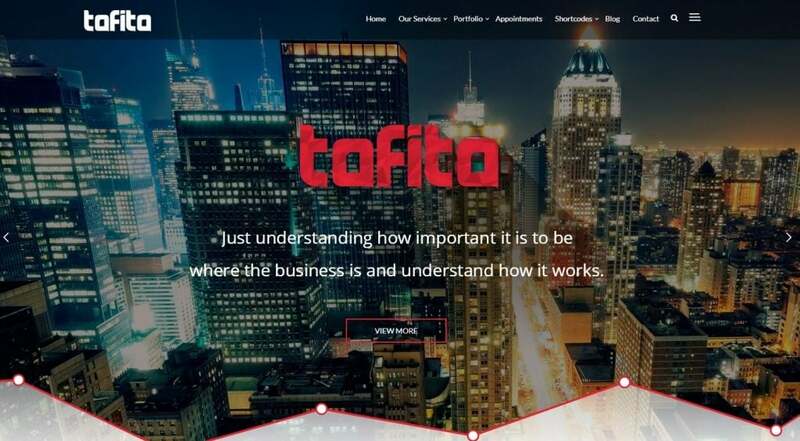 Still haven’t got a classy website for your business? 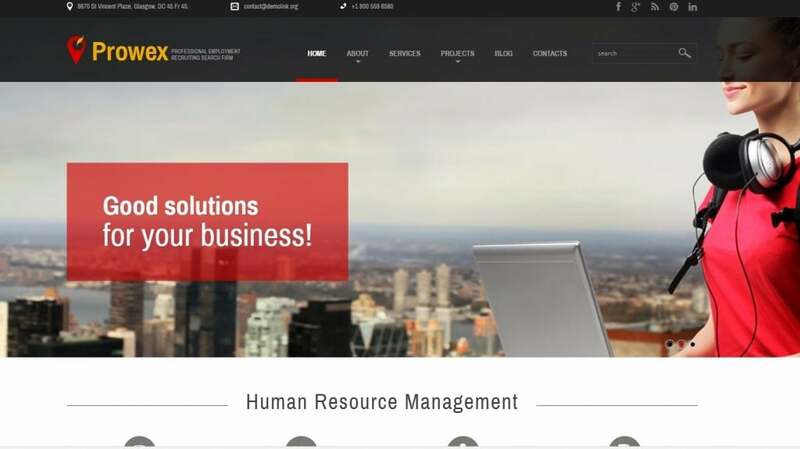 Here is a collection of the top 100 business templates for different tastes. 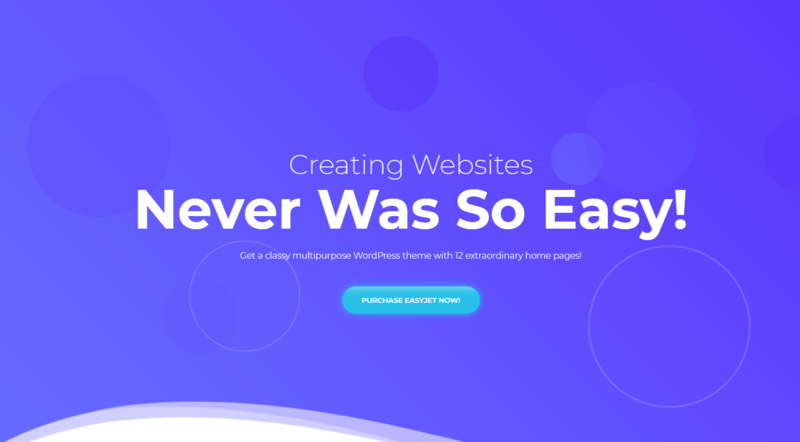 Save on making a website by buying a theme from TemplateMonster and create a trendy website fast! 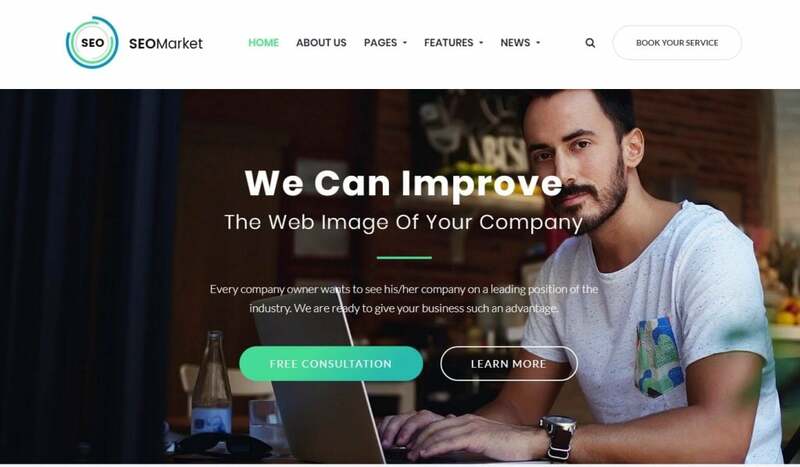 SEOMarket is a perfect solution for an SEO company website! 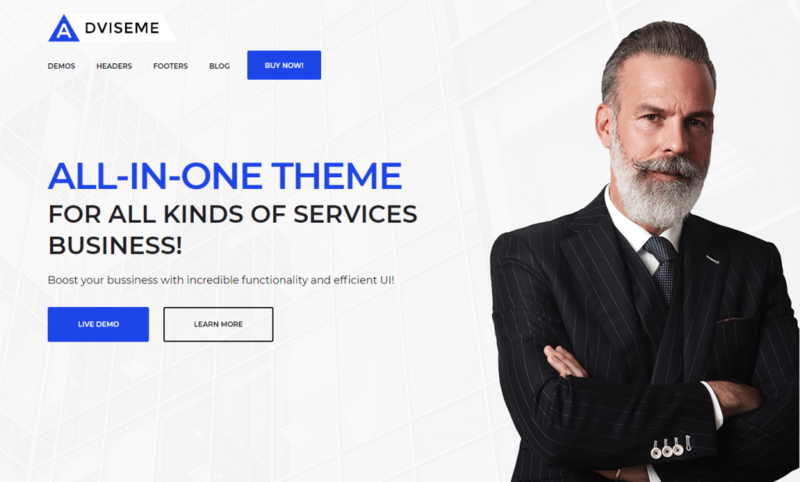 Including an Elementor Page Builder that provides easy and fast page editing and customizing, Zemez offers a pretty generous giveaway. You receive all images from the demo for free. The price already covers JetElements and JetMenu plugins that allow adding additional elements (banners, animated boxes and texts, pricing tables, post sliders, circle progress, etc.) 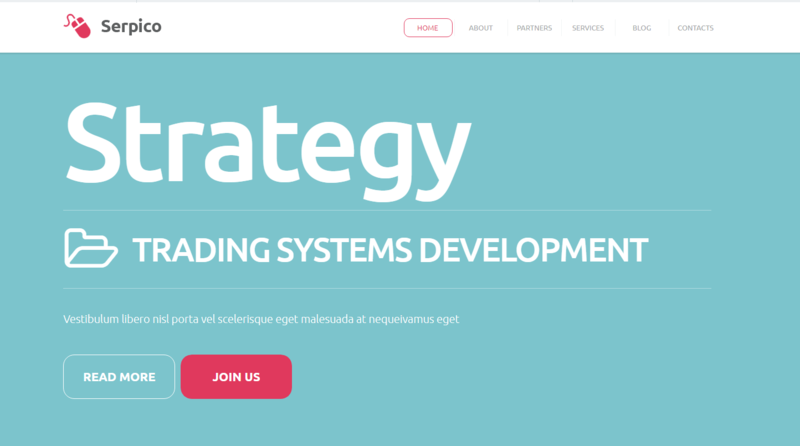 and layouts to organize the content in the most attractive way. 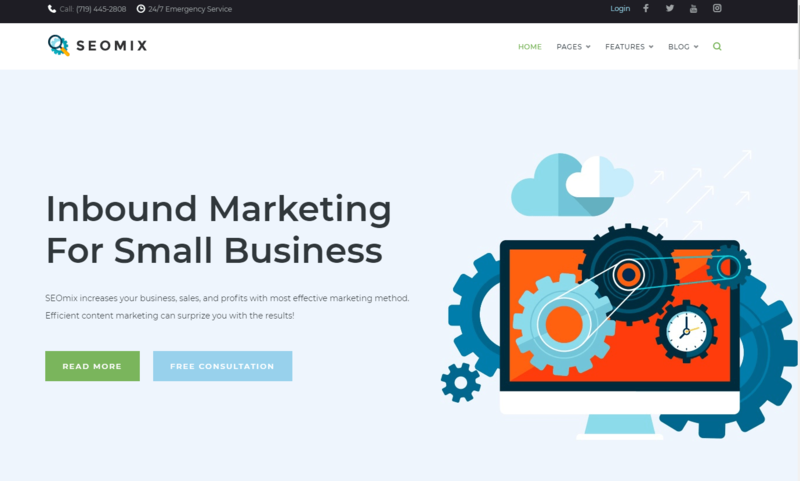 The template also includes WordPress Popup Manager – a great add-on for your future marketing campaigns. 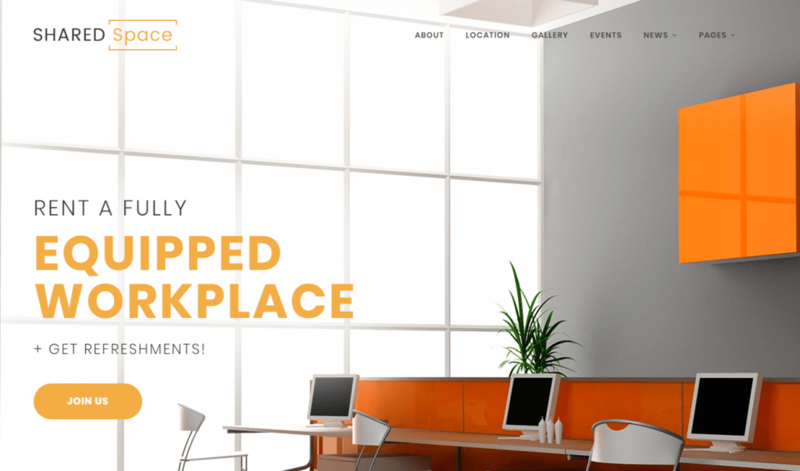 It allows you to place an unlimited number of popup windows and add them to any page. 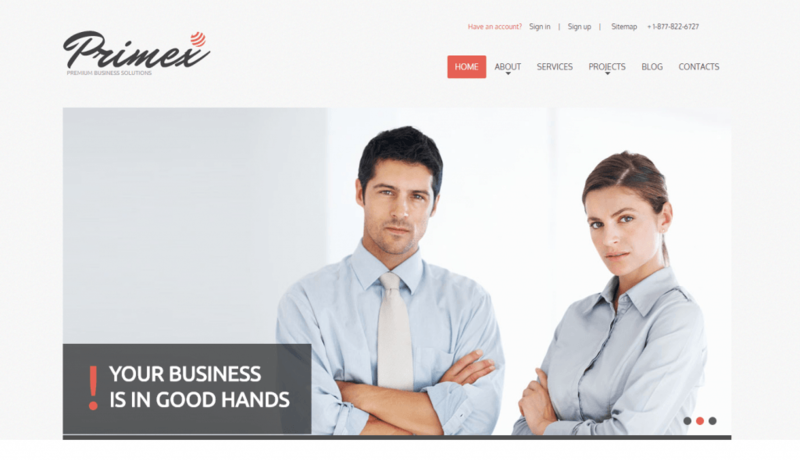 SEOmix is the next trendy theme for SEO company website from our vendor – ZEMEZ. 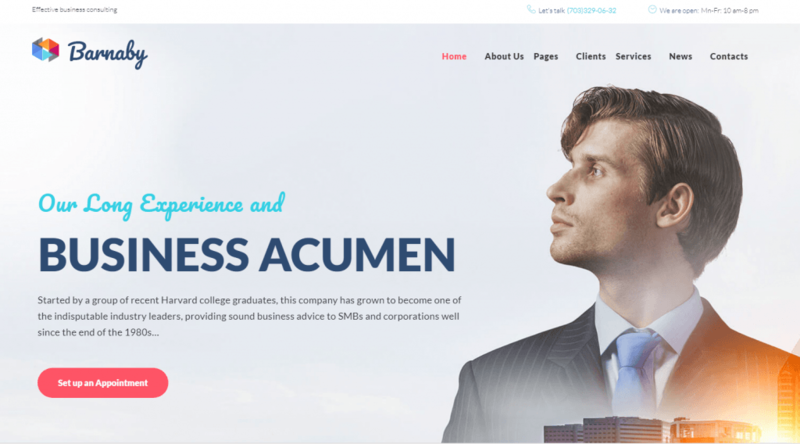 The design is quite simple, but the template has everything to create a classy website. 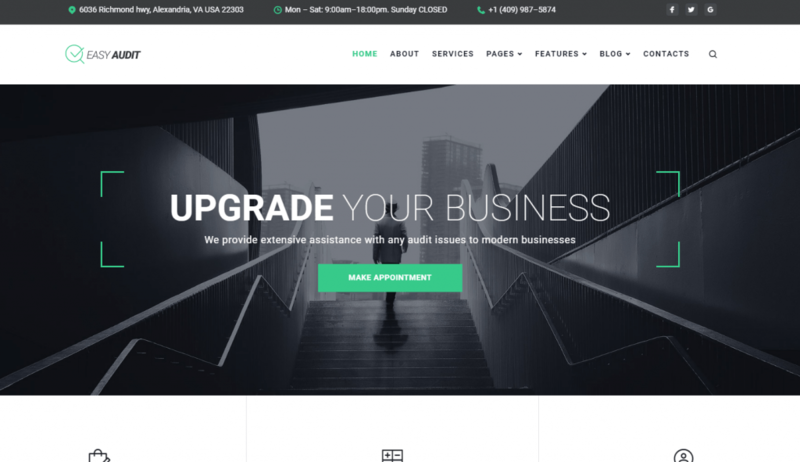 Along with JetElements plugin and free images, the vendor included Booked Appointment Plugin as a bonus. 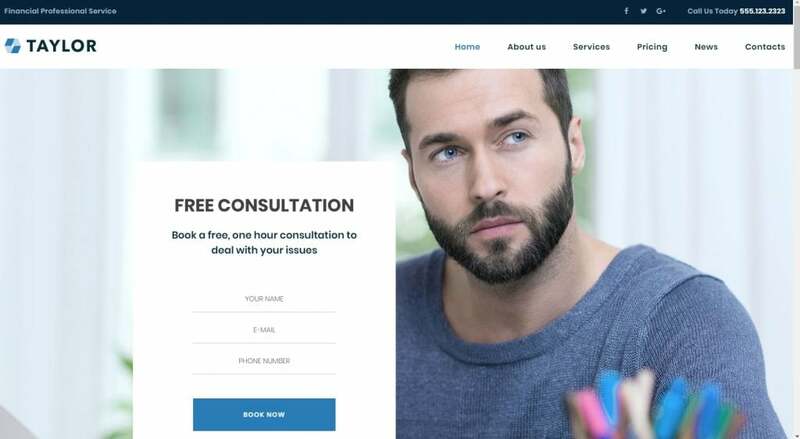 With its help, making online appointments is easier than ever. 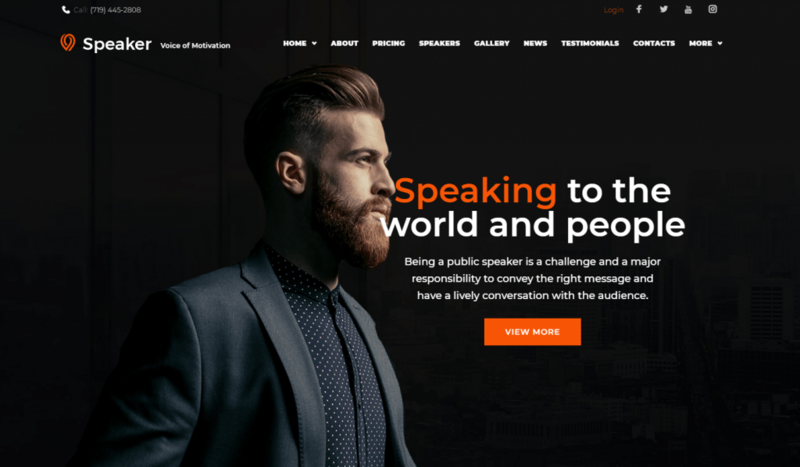 This fantastic, responsive template has seven catchy headers, three different footers, and four blog layouts. With the help of the Cherry Popups Plugin, you can create popup windows to your taste: choose the color, size, emblems, and location of the window. 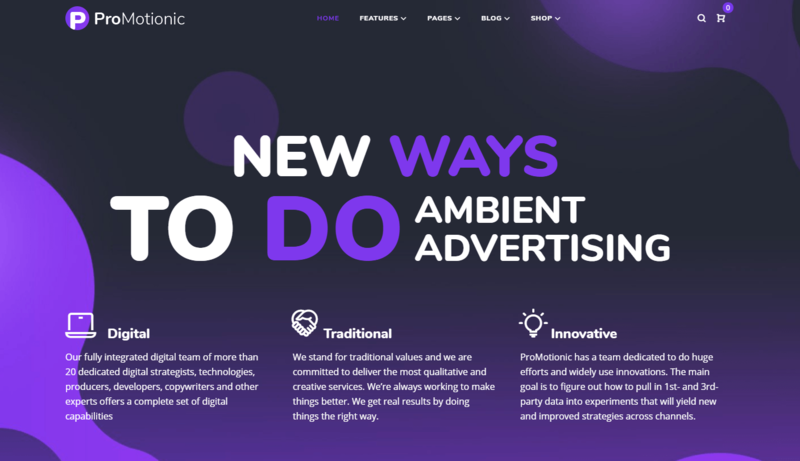 ProMotionic is a stylish template for people who have no time for dealing with complex page customization. 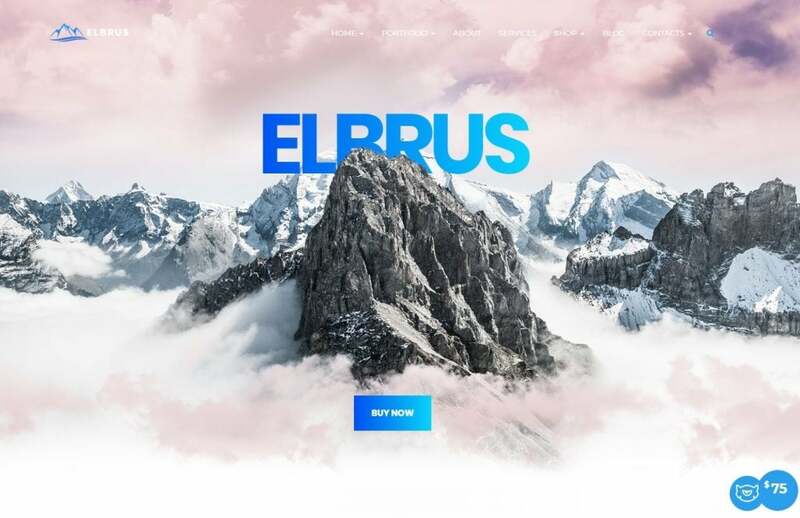 The latest drag-n-drop page builder by Elementor will help you to stuff the website with the right content and organize it in an eye-catching way. 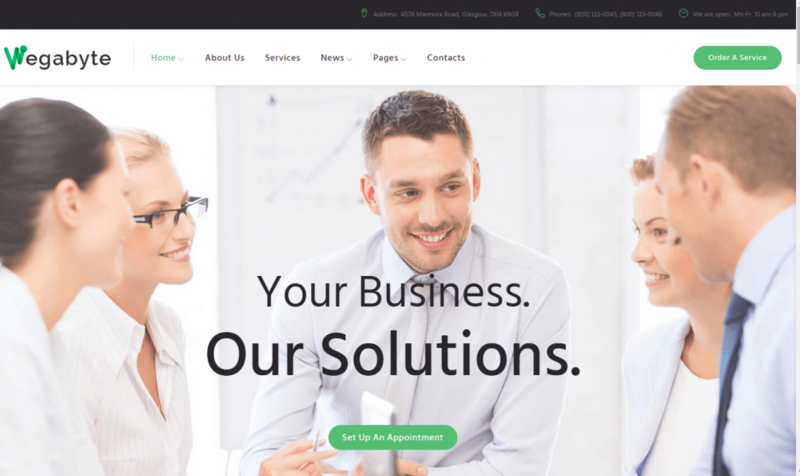 The template itself is packed with additional features such as Product Quick View, Mega Menu, Background Options, Google Web Fonts, etc. 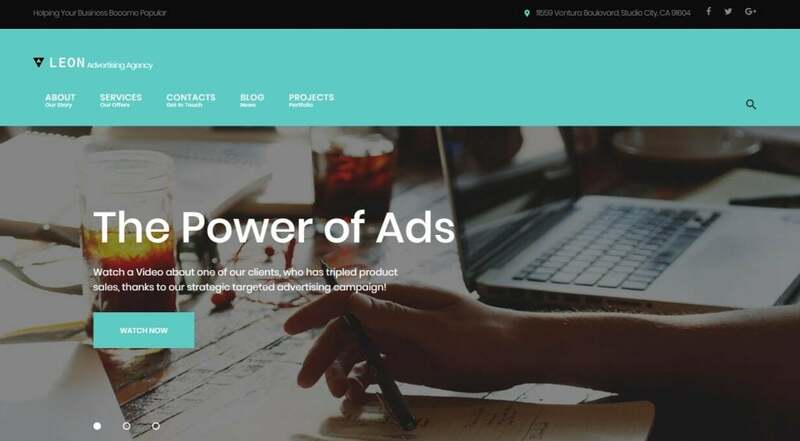 It includes MailChimp Ready Template that allows reusing the previous campaign designs or replicating the existing designs. The MailChimp ready template is handy when you like the previous design or have no time to create a new one. 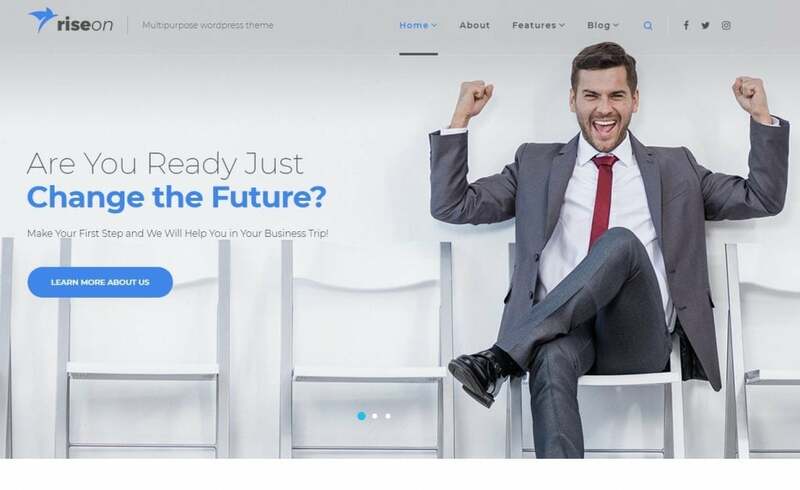 Build the pages for your future corporate website easily with the help of the Visual Composer Page Builder. 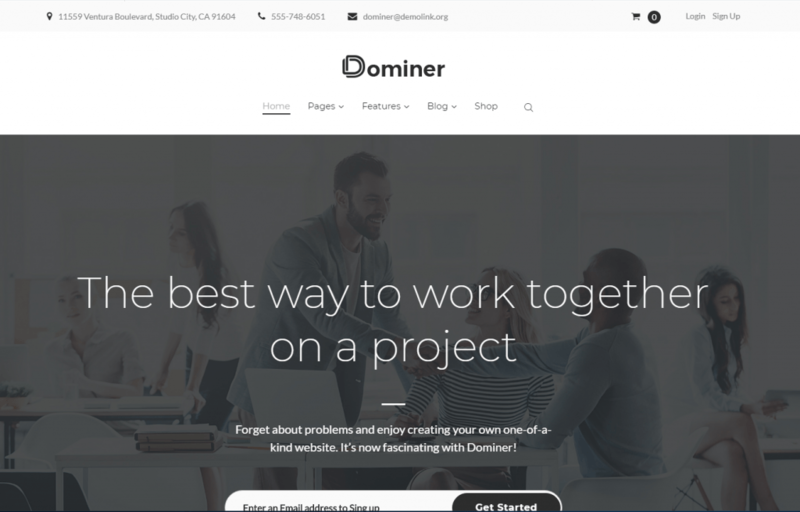 It offers you to choose between two editing concepts: frontend editing (just like Elementor Page Builder offers) and backend editing. 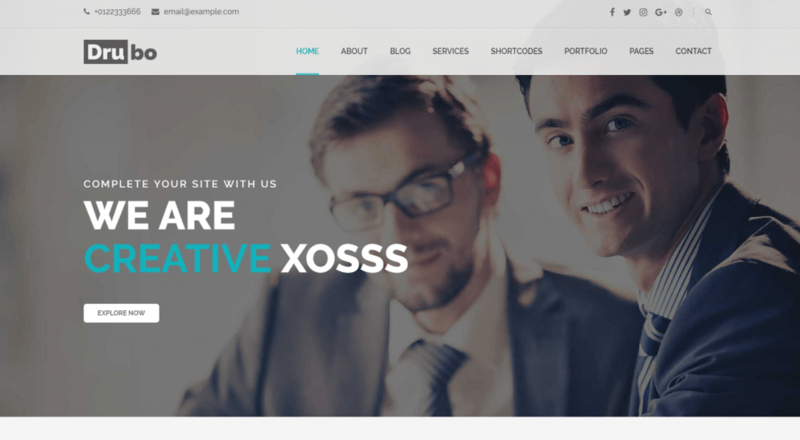 The template contains Max Mega Menu WordPress plugin that allows you to create a user-friendly menu, change its structure, style, color, add items, etc. Drag-n-drop Mega Menu is a perfect plugin for creating a convenient menu fast. You also get a WooCommerce Package with six additional widgets (TM Products Carousel, TM Products SmartBox, TM About Store, TM Products Categories with Thumbnail, and Custom Menus) for organizing content in various ways. 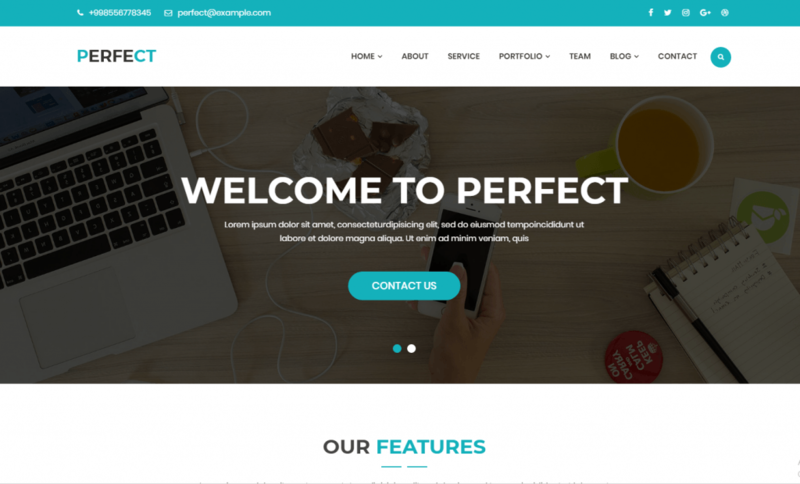 This fantastic responsive template has five eye-catching headers, three different footers, and four blog layouts. 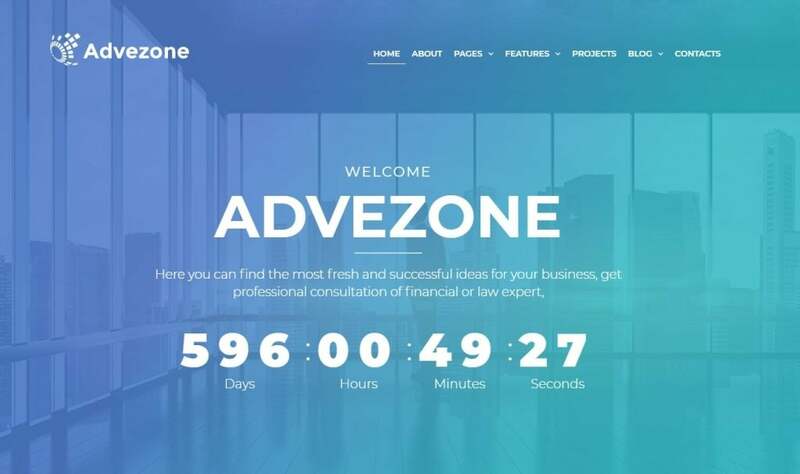 Advezone was created for financial advising company website. 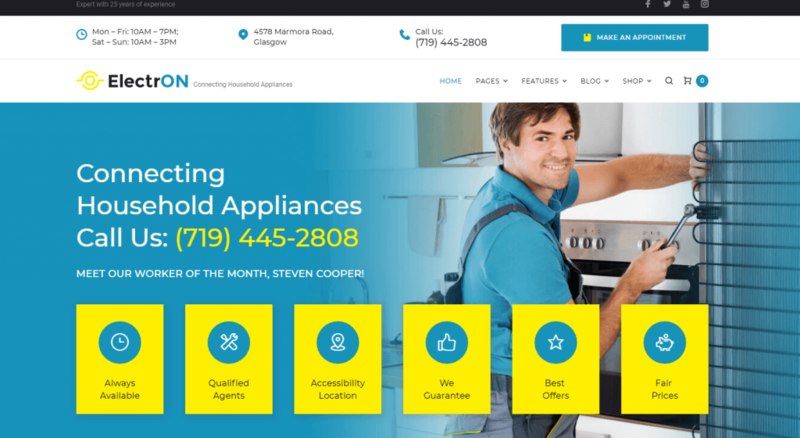 Being fully responsive, it has Home, Maintenance, Services, Project, and Blog Pages with free images that you will download with the template. 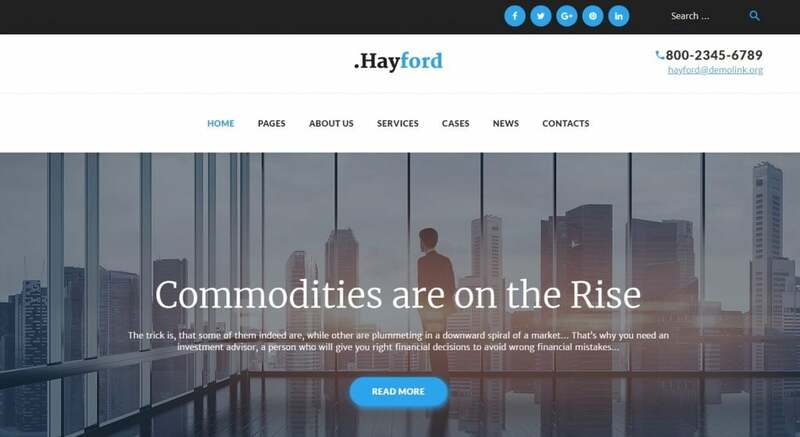 It also includes Testimonials page, which will have reviews of your clients and encourage others to ask experts of your company for advice. 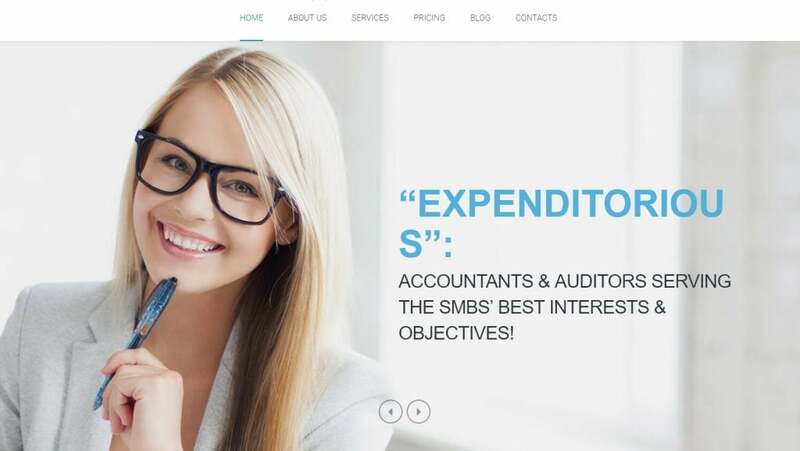 With the help of the Elementor Page Builder, you will create well-organized pages fast. 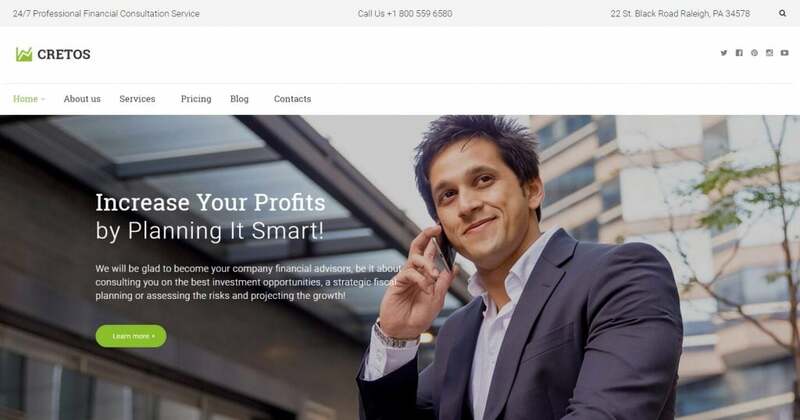 If you need a website to promote your consulting company, Finscore is the perfect solution. 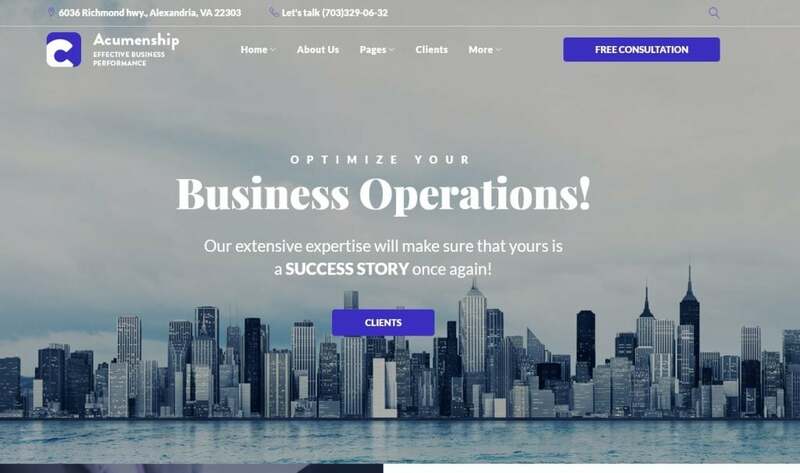 With the help of this template, you will create a website fast and have no problems with changing the design and adding or removing the content afterward. 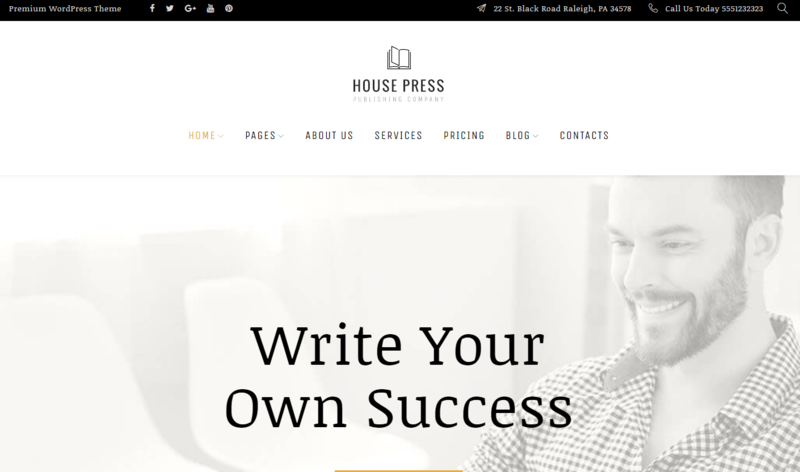 The template includes six well-designed home pages, seven catchy headers, three footers and four blog layouts. 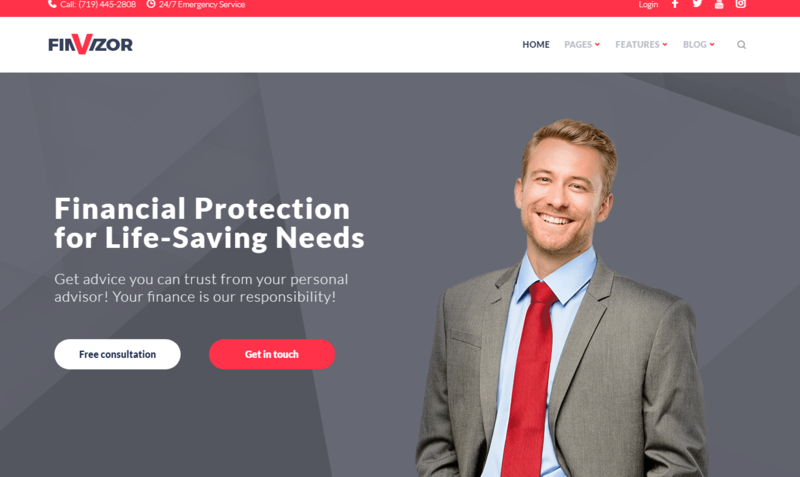 Along with the pages for different occasions, Finscore offers some widgets. 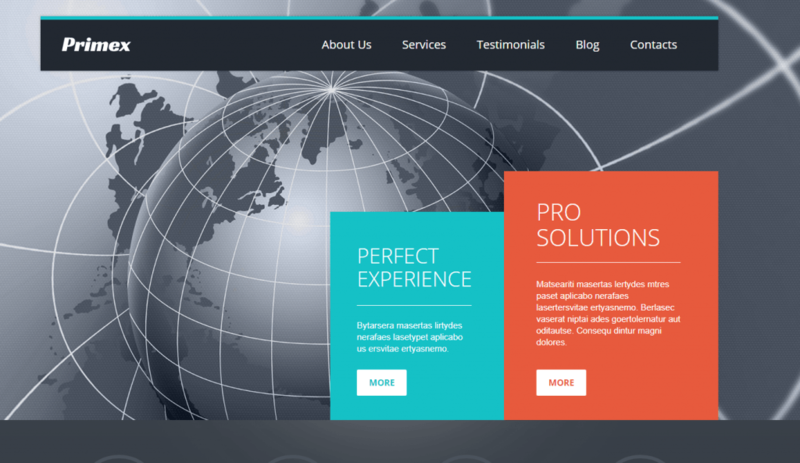 Grandviz is another stylish solution for a business website. This template will undoubtedly draw the attention of the most sophisticated businessman. 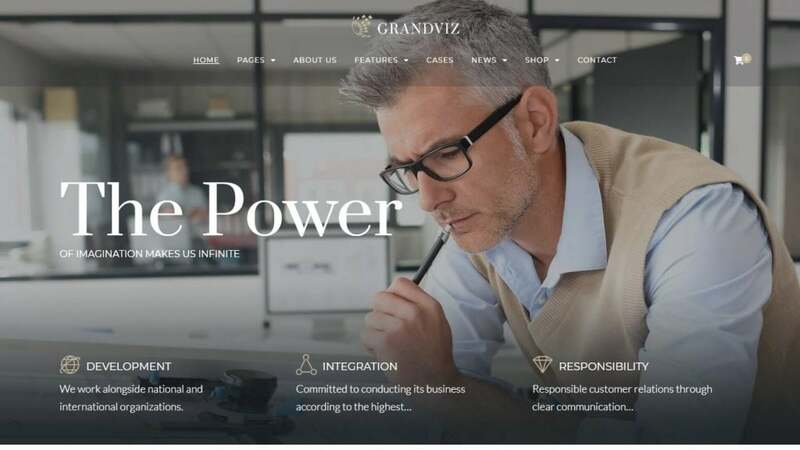 Along with the standard set of features such as Elementor Page Builder, JetMenu, and Cherry plugins, Grandviz has a Parallax Effect that changes the visible position of the object relative to the distant background, depending on the position of the observer. To make the design even more beautiful, you can add premium icons that are included in the price. 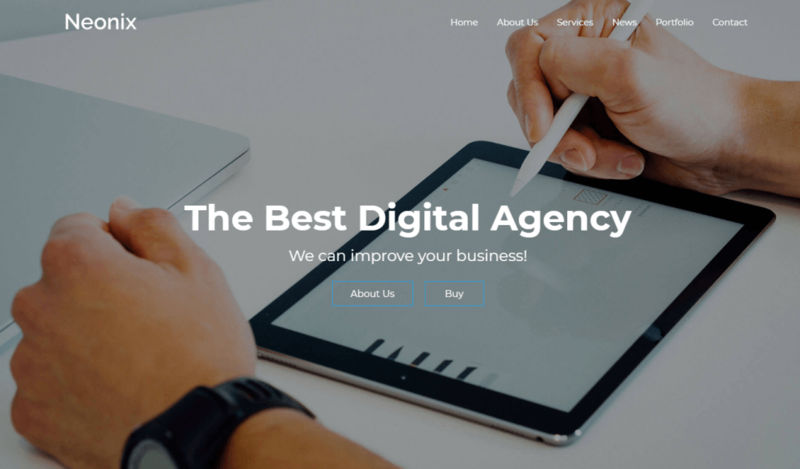 A template for the digital agency website is designed in the neutral unobtrusive color scheme perfect for the business thematic. StreamUp is fitted with pages for all needed occasions. Want to place useful information? Create a blog with personal blog feature. 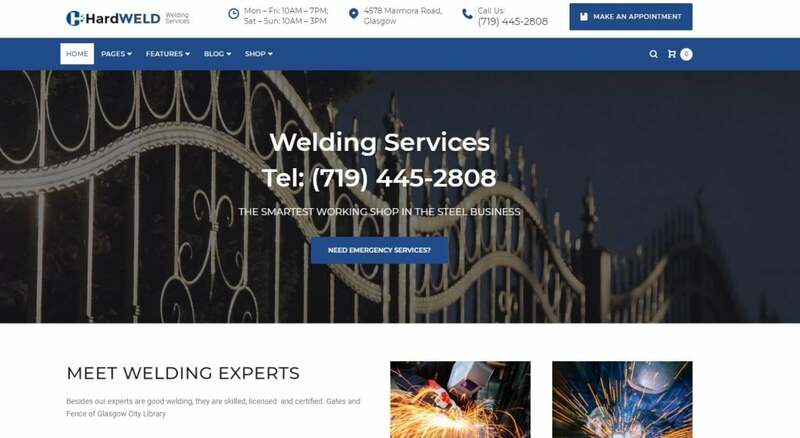 Using a contact page, leave contact information for your customers. Create promotions with the help of the Cherry PopUps to attract more clients! 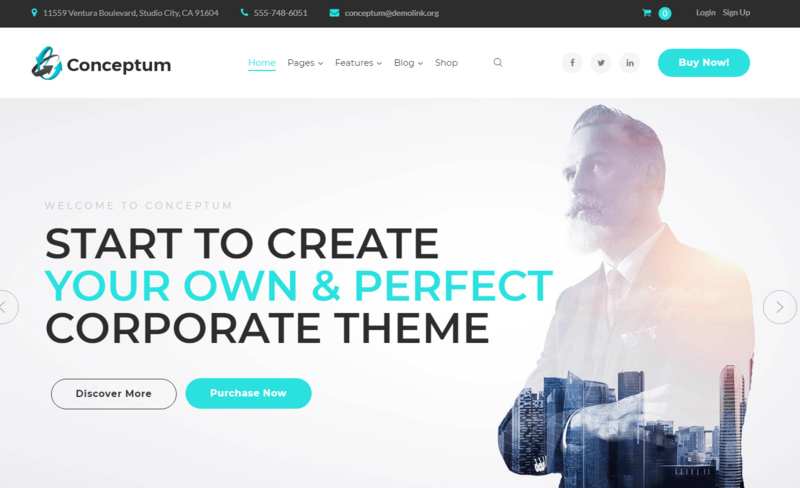 The first multipurpose WordPress business theme in our collection has more than ten skins for different business directions. 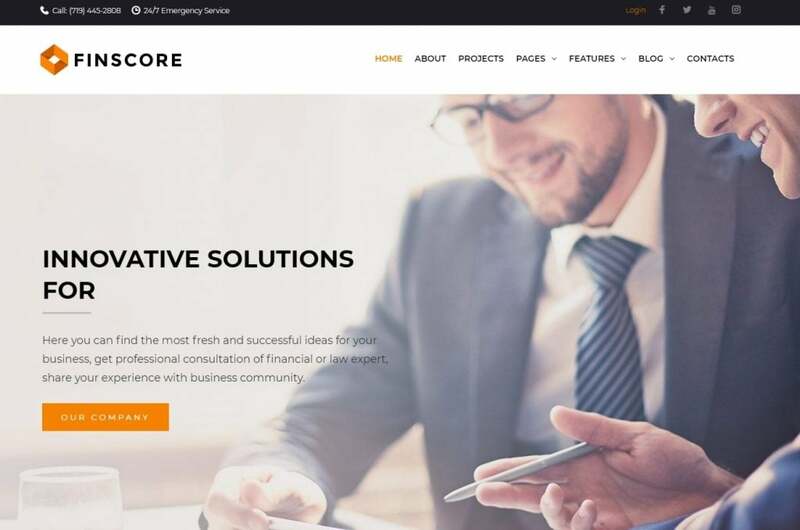 After purchasing Riseone, you will manage to create websites for business services, consulting, marketing, or advertising agencies, office, outsourcing, architecture, construction, car repair agencies. 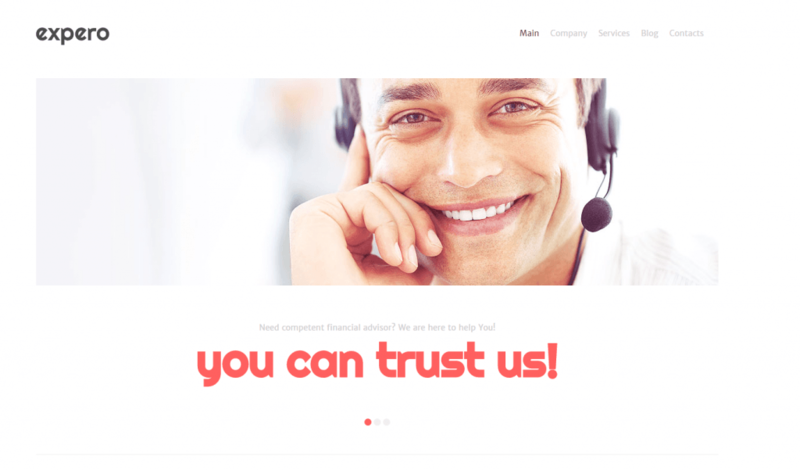 With the template, you will create a trustworthy image of your company. Share useful information on your blog with the help of Personal Blog Feature. Let your clients leave testimonials and comment your posts with the help of the Commenting System. Offer the visitors to subscribe to your newsletters with the Newsletter Subscription web form! 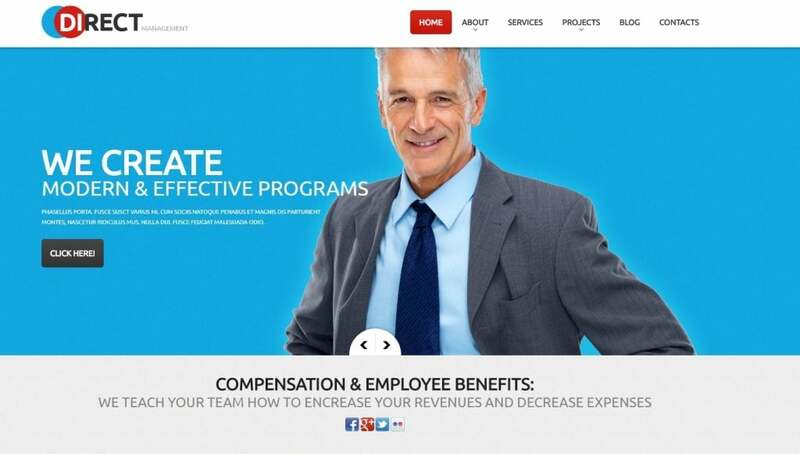 Stuff your website with the useful content and inspire trust in your potential clients. 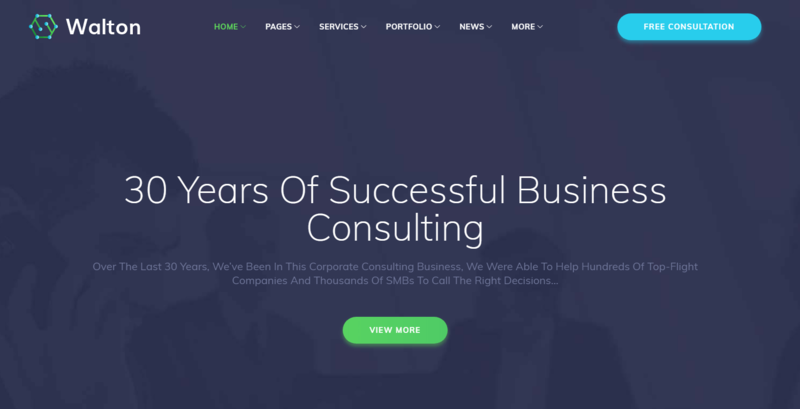 This premium WordPress theme is perfect for creating a useful website for the consulting company. 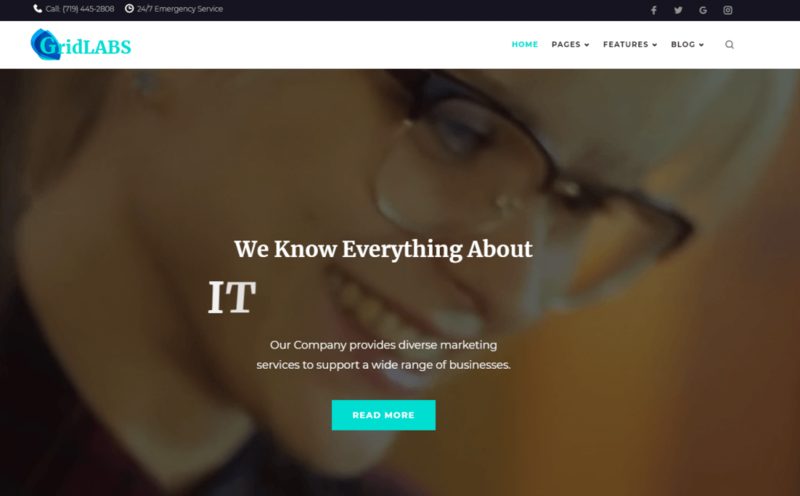 You don’t need much time to customize the design of your website. 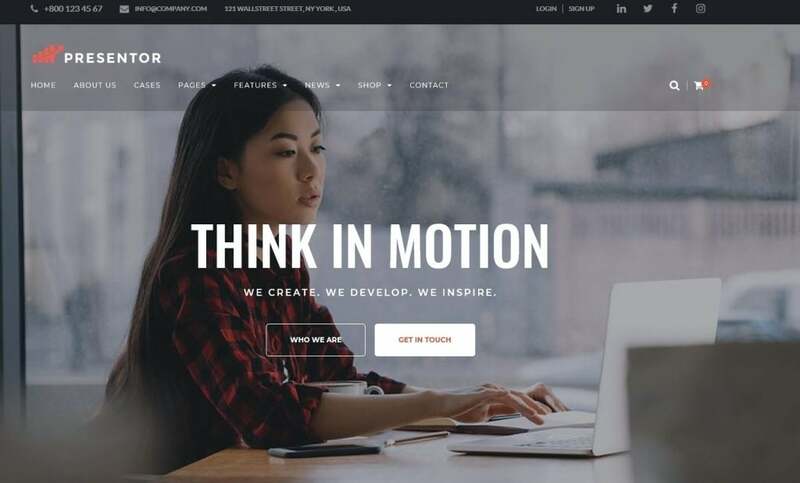 Elementor Page Builder, custom page designs, and widgets will help you to fill the website with the relevant content and stylish images. 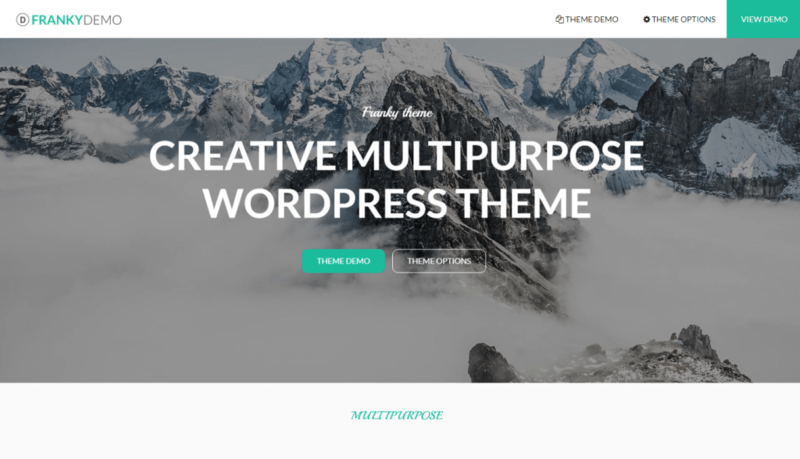 The template goes along with seven trendy headers, three different footers, and four blog layouts. 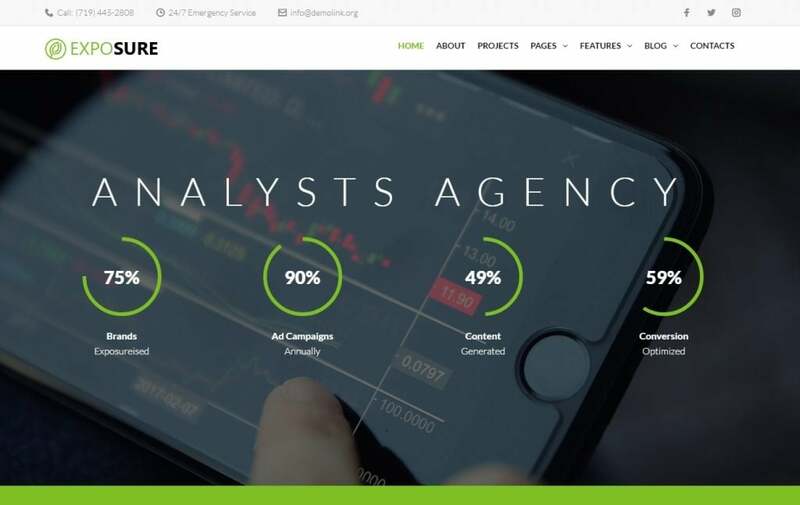 If you need a modern website for your investment company, consider purchasing TopInvest template to create one in a matter of hours. 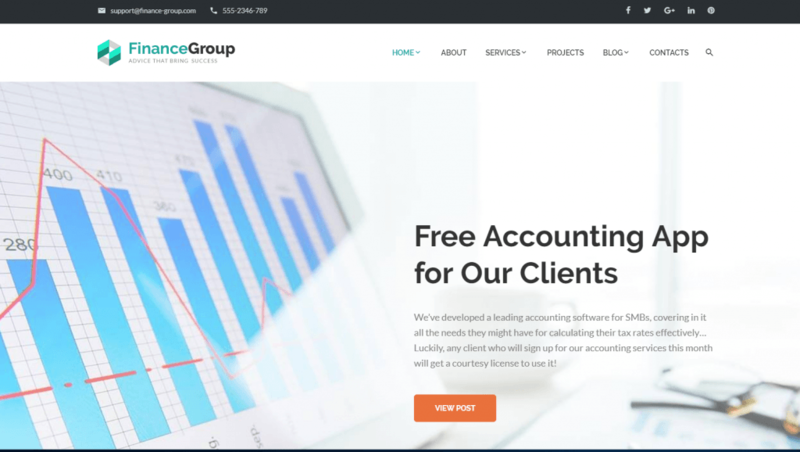 Our bestseller is suitable for financial advisory, accountancy, consultancy, insurance, and financial and investment company websites. The opportunities of the template will help you to present your company from different angles. 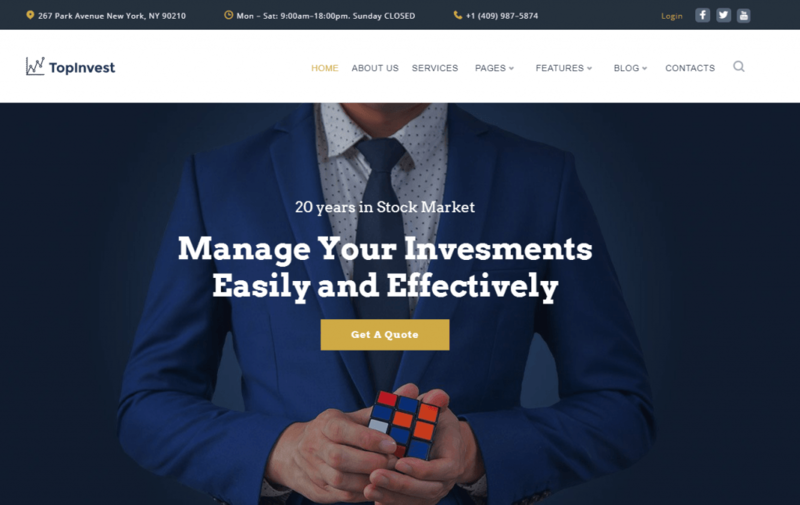 TopInvest contains a quality portfolio, a blog, sections with reviews and information about the employees. The WooCommerce plugin will ensure the online payments. 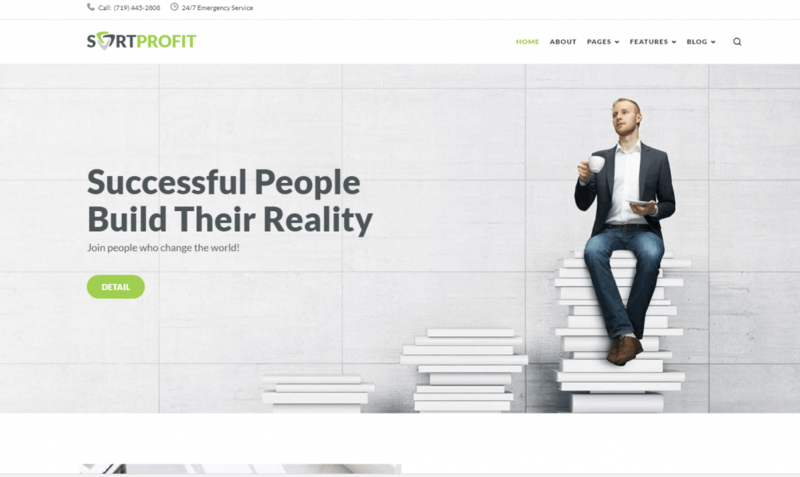 The next multipurpose bestseller from TemplateMonster will suit the websites for business, model portfolio, photographer, hair stylist, and yoga club. 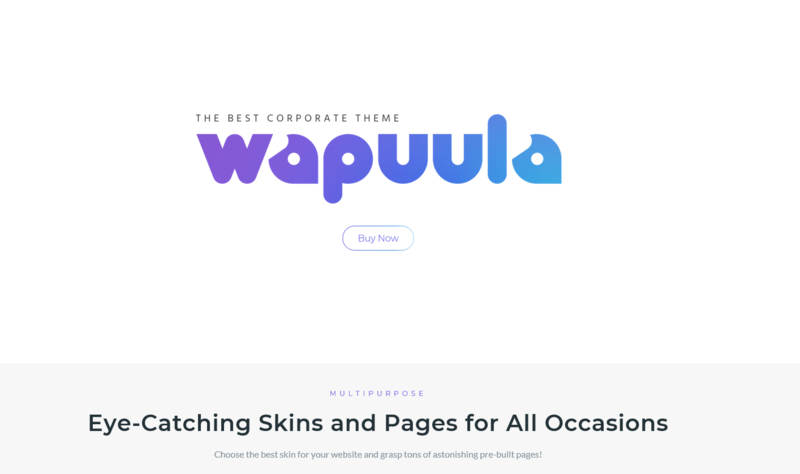 The template is packed with an impressive set of features that will ensure an uninterrupted work of every website. 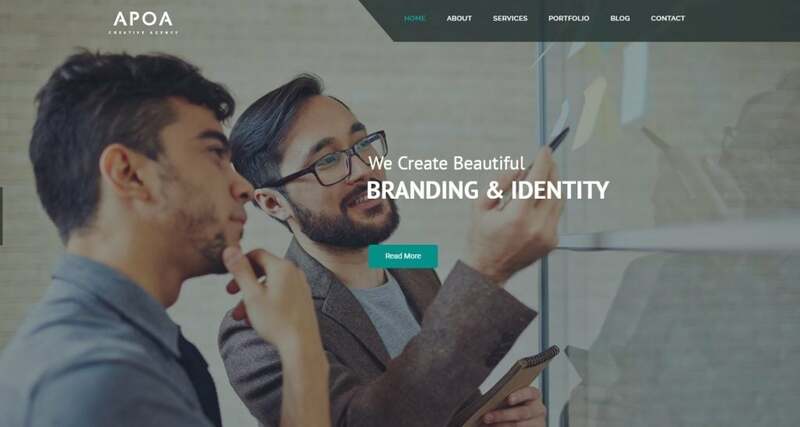 You will create a popular and unique website with the help of Visual Composer, hundreds of fonts, and icons. 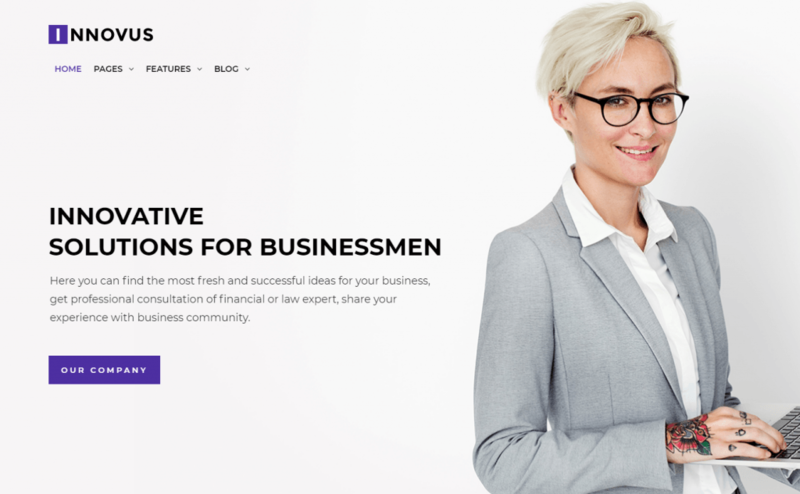 Being fully responsive, the template has all features to create a good website for an argument business consulting company. 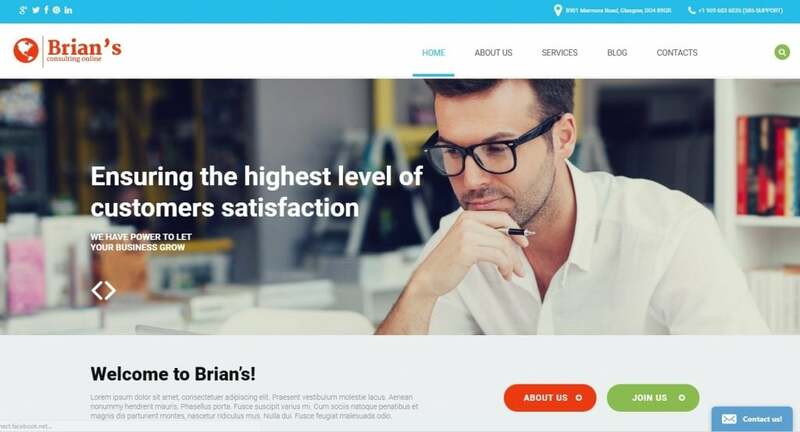 By buying a theme, you get a powerful base for sharing reviews of the satisfied clients with Testimonials Plugin and their photos with Photo Gallery. Have something to share? Then hire creative guys and start writing a blog! 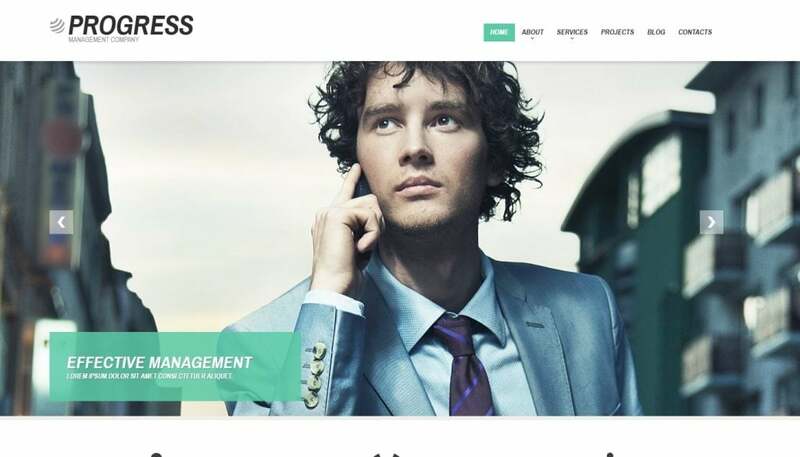 Here are more good WordPress templates for business. 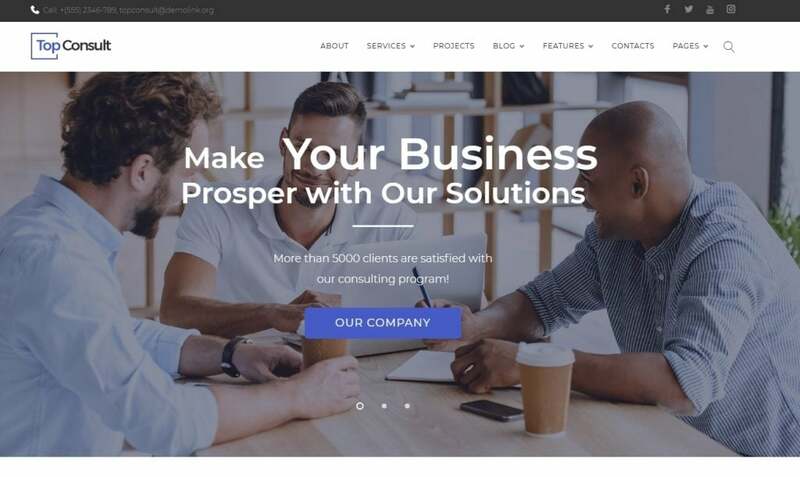 Your marketing website will look amazing with this template! 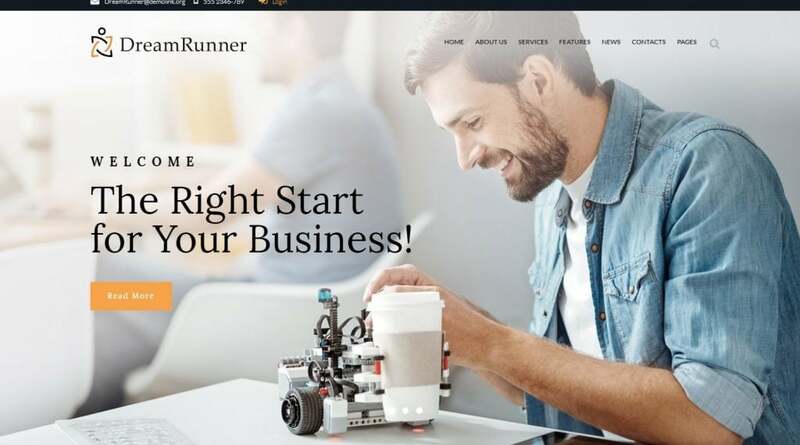 With the help of the Live Customizer and Elementor Page Builder, you can add different images, blocks, and elements to create a unique website. 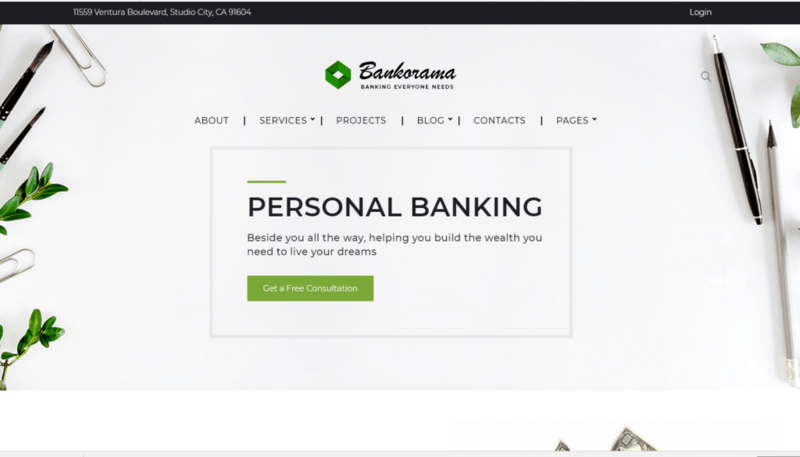 Planning to make the online payments on your website possible? Use a WooCommerce package that Presentor includes. 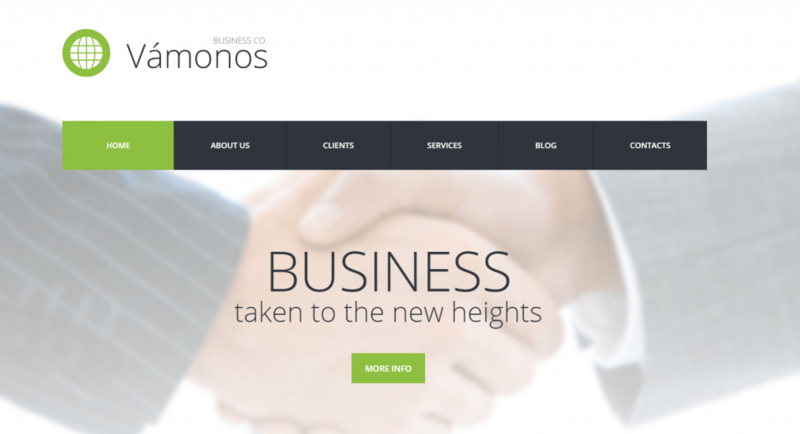 This SEO friendly and fully responsive template is a perfect solution for business websites. Initially designed for advertising business, it might serve to the related micro-niches. 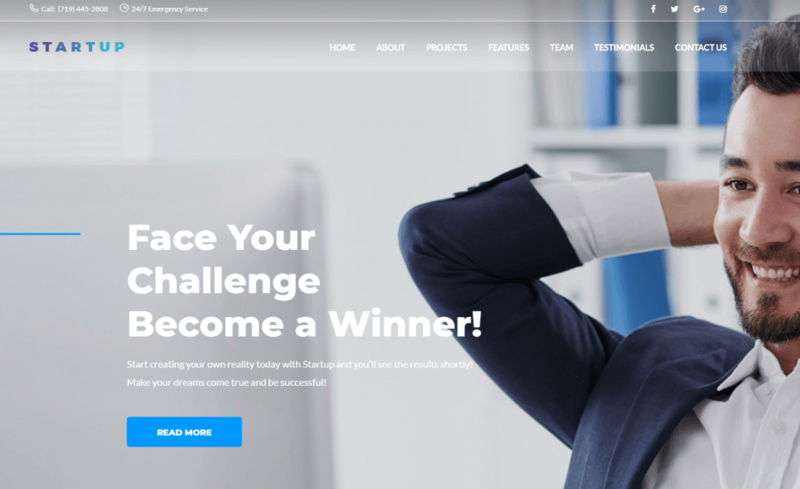 The Elementor Page Builder guarantees fast and easy customization. As Zemez is a super generous vendor, he has included Jet Elements Plugin and Booked Appointment Plugin to the price of the template. You also get all images for free. With the help of the Cherry Team Members Plugin, you will reveal information about your team. 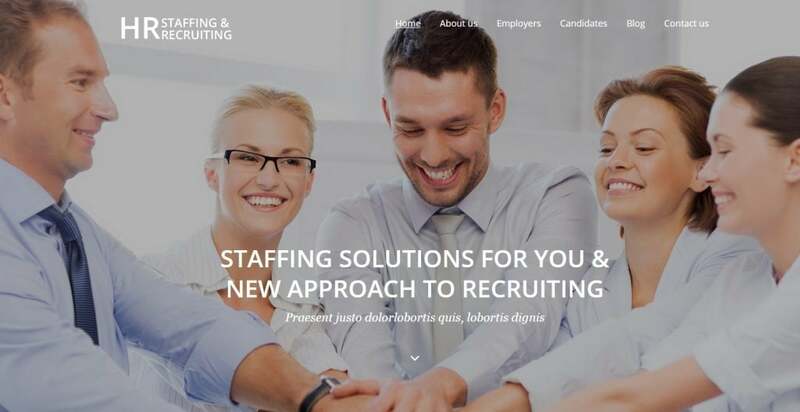 Your potential clients will have a chance to choose the advertising specialist. 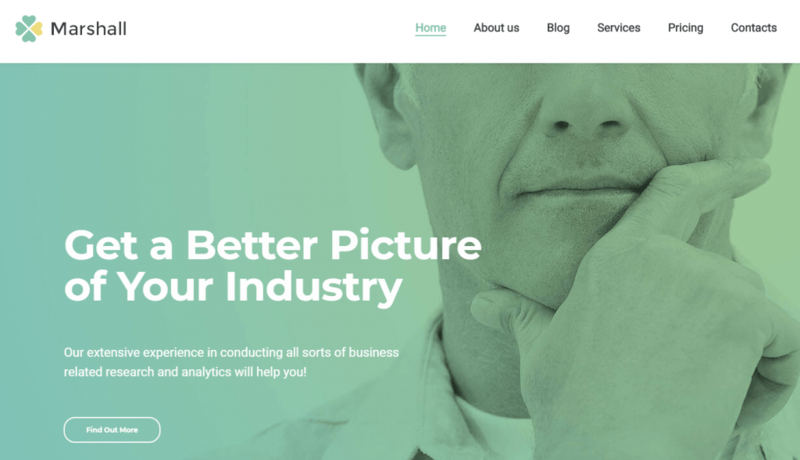 If you have an analytics agency, then Exposure is the perfect theme for your website. It has pages for different occasions. Building a page, adding content and design elements, is easy with the help of the Elementor Page Builder. 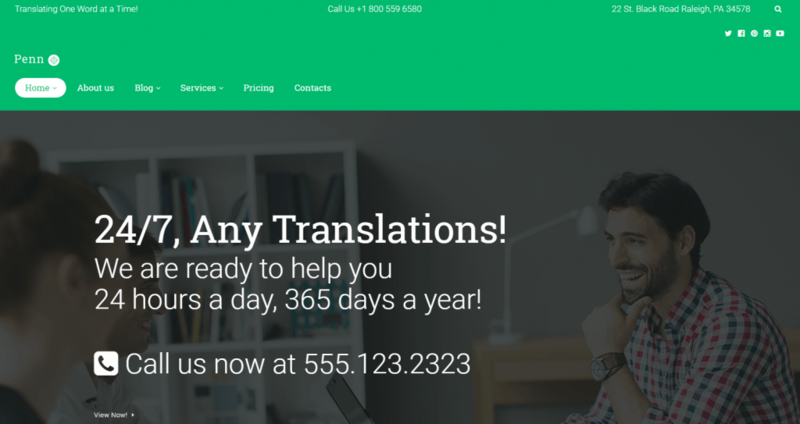 Shortcodes of the Cherry Framework 5 allow users to divide the text into columns, add “call to action” buttons, animated text and images without writing long and complicated codes. 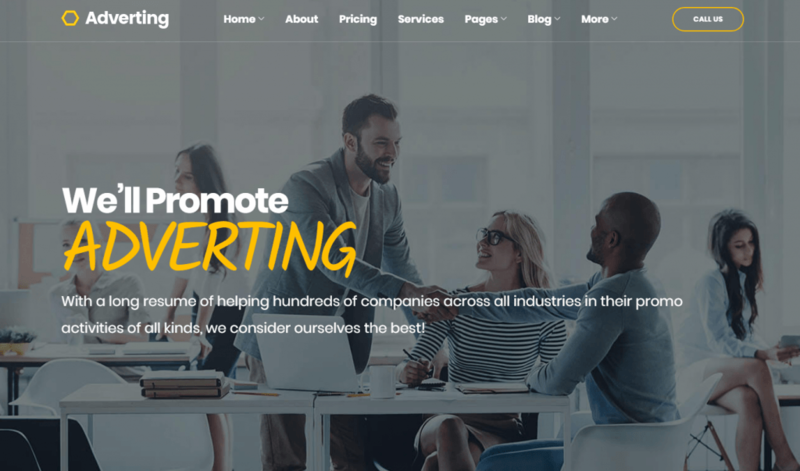 Here is another option for marketing agencies for promoting their business online. The template with a neutral color scheme will fit those, who used to simplicity but want to make the right first impression. Blocks of information are situated in an eye-catching way and will present the most important information about your company. The Content Generation presents information in the most appealing way and catches the attention of the major search engines. 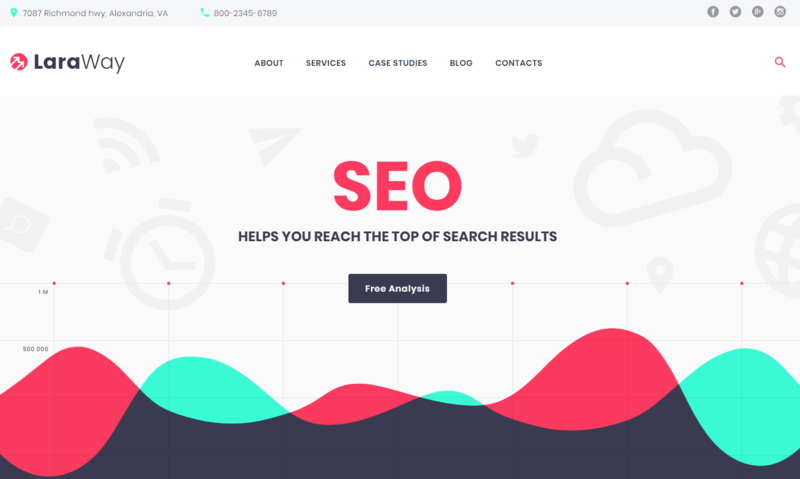 Interious is the next SEO friendly template that will help to receive the high traffic to your website. 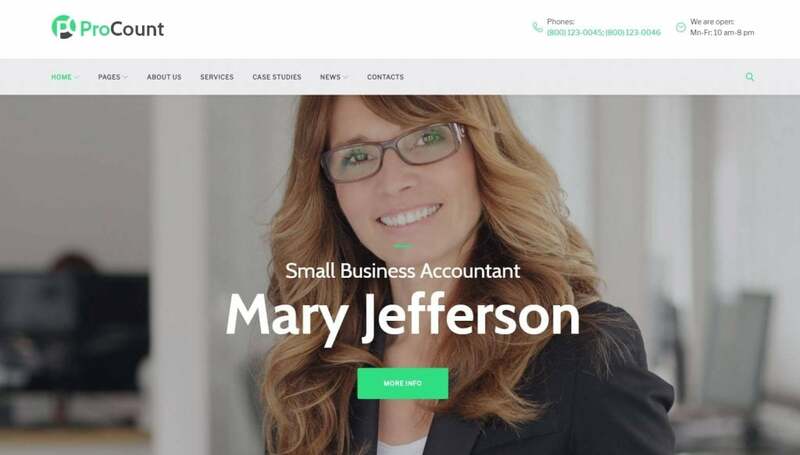 Don’t forget to create an appealing appearance with the help of Google Web Fonts, various web forms, and custom widgets. 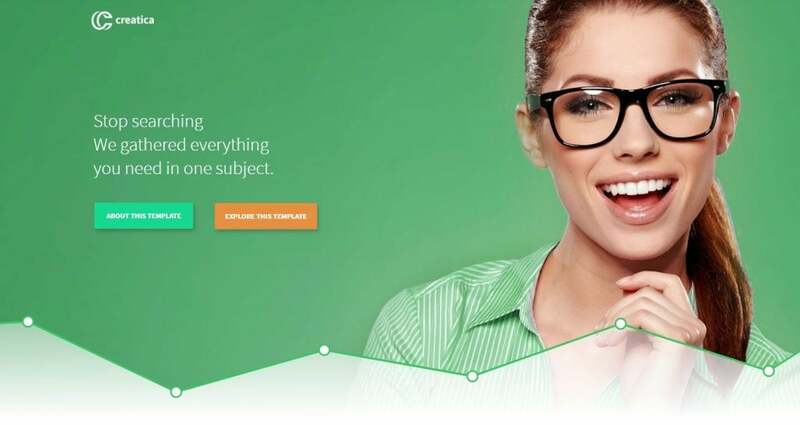 Working with the content and visuals is easy because you will use Elementor Page Builder and Sample Content plugin. 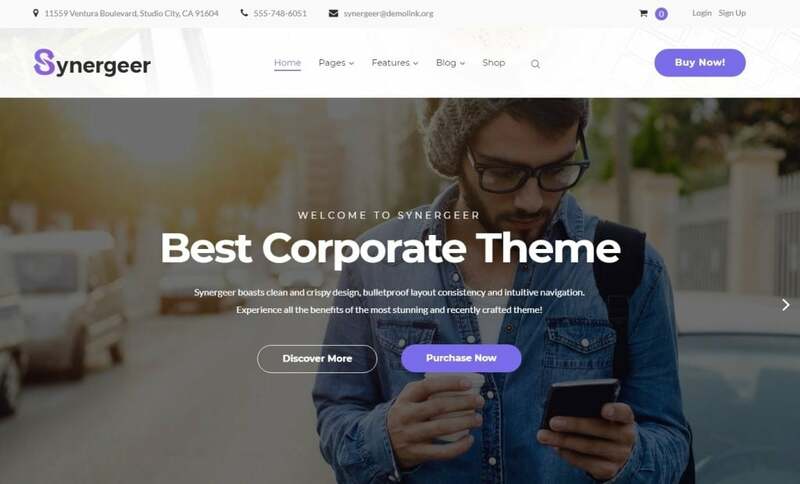 Synergeer is a fast way to build a website for your company. 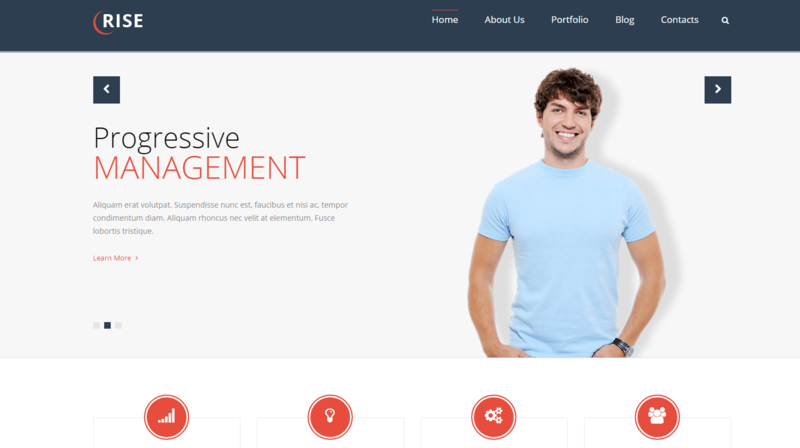 The theme is built with Visual Composer. You can create your personal pages layouts in addition to the included ones. 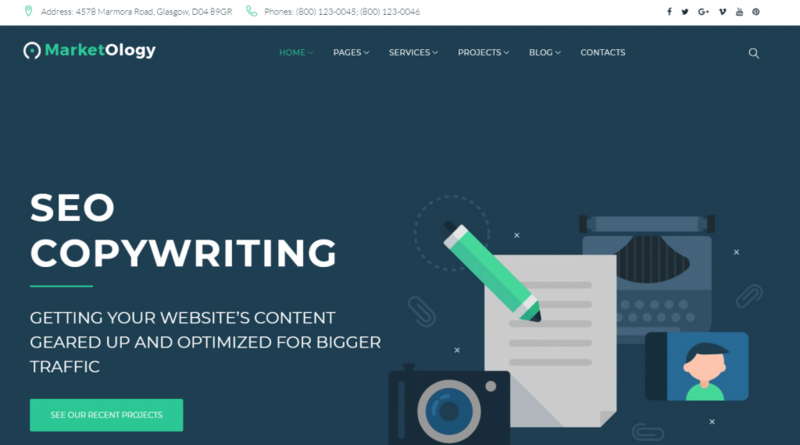 The popular page builder offers 40 content elements divided into four groups: Content, Social, Structure, and WordPress widgets. 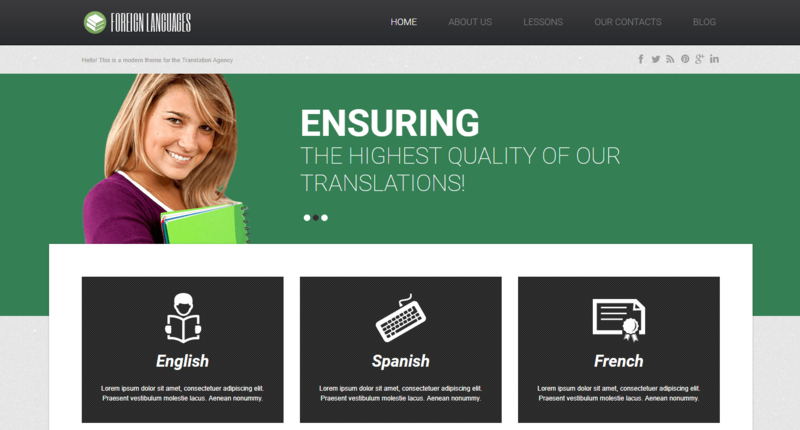 You can add columns, text blocks, galleries, and even HTML codes to organize the content. Building pages with more than 35 widgets is even easier. 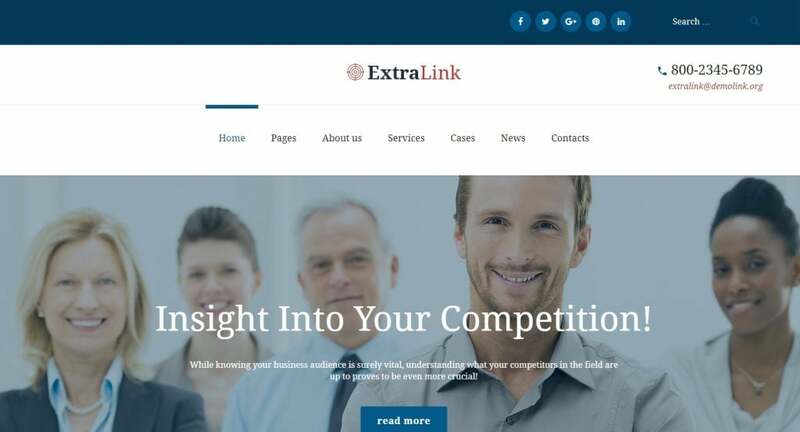 Use a theme with clean and professional design, as well as powerful search engine optimization to attract more potential clients! 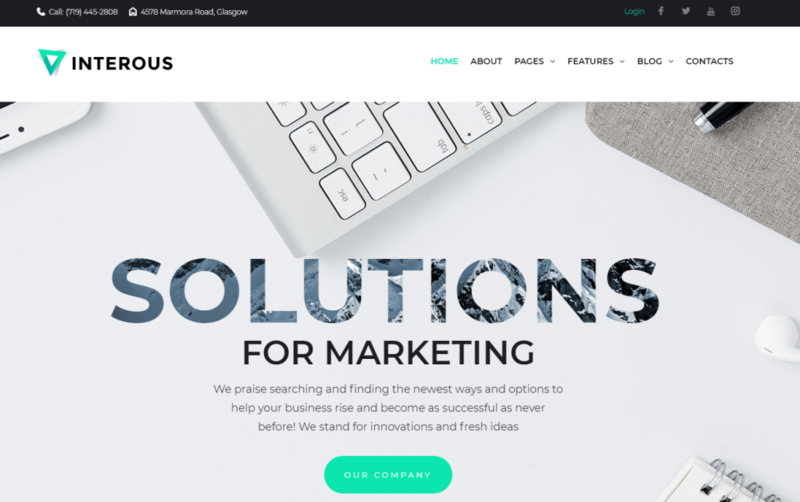 Innovus includes many shortcodes and widgets that will help you to stuff the website with useful content and organize it in an eye-catching way. Visual Editor and Elementor Page Builder will save your time when working with texts and visuals. 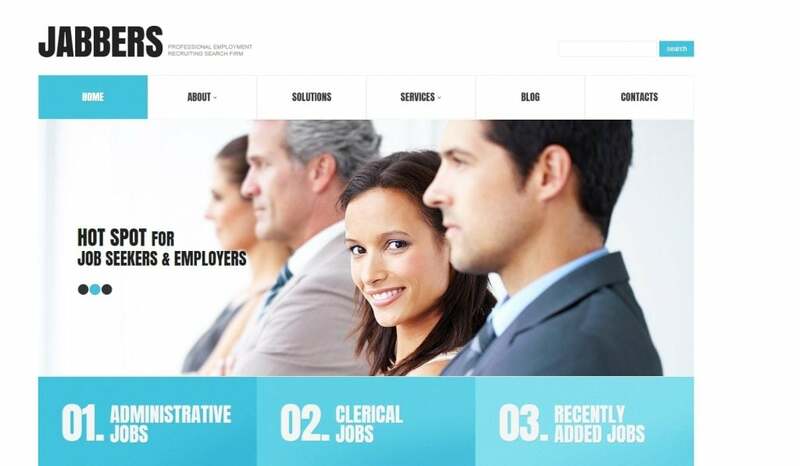 The responsive job portal template is full of widgets for creating amazing visuals. 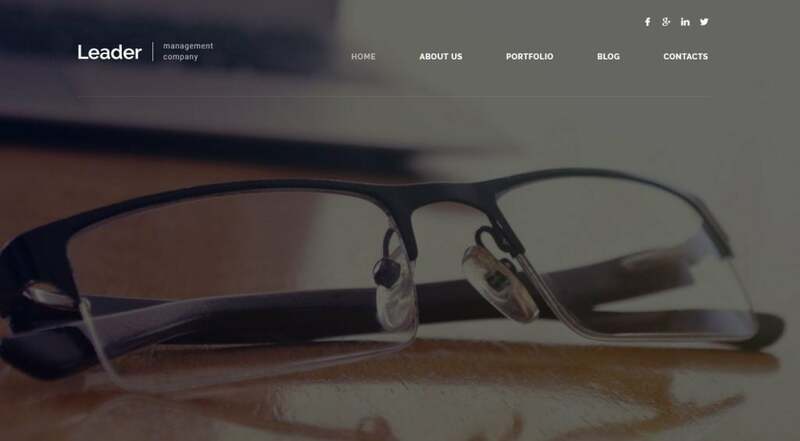 The template includes Parallax Scrolling option that will create an effect of depth in the 2D environment. 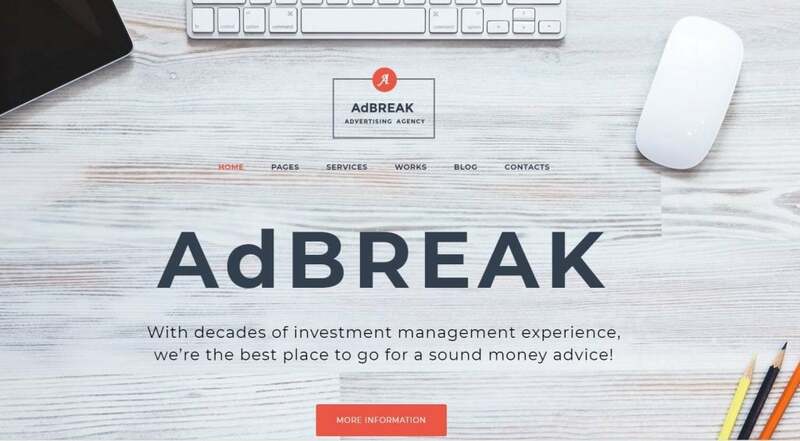 Though it’s not a new technology, it will still spice up your website. 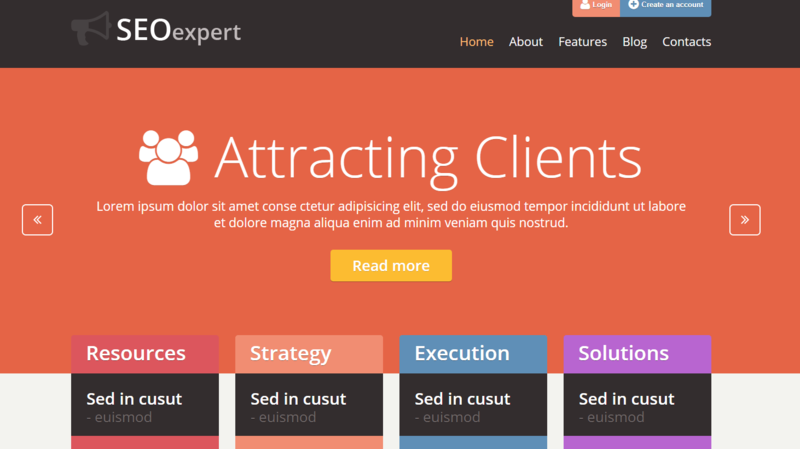 Your potential clients will like it! Background Video widget and Sliders are suitable options to create a perfect presentation of your services. 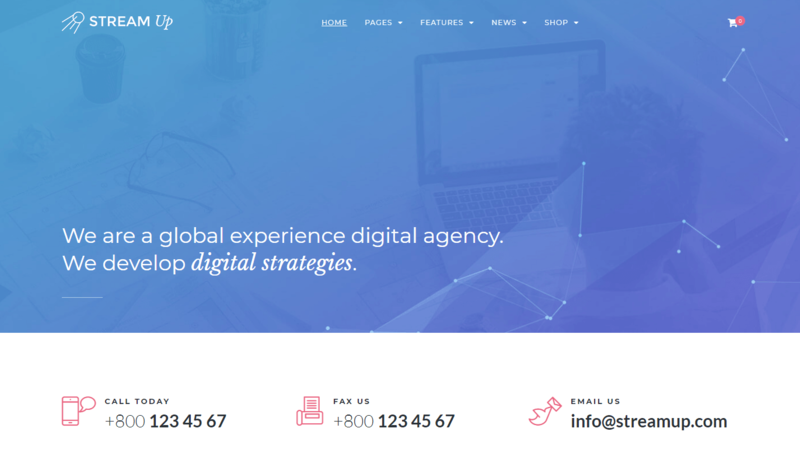 You will like our bestseller from Zemez if you need a stylish template for your startup website! 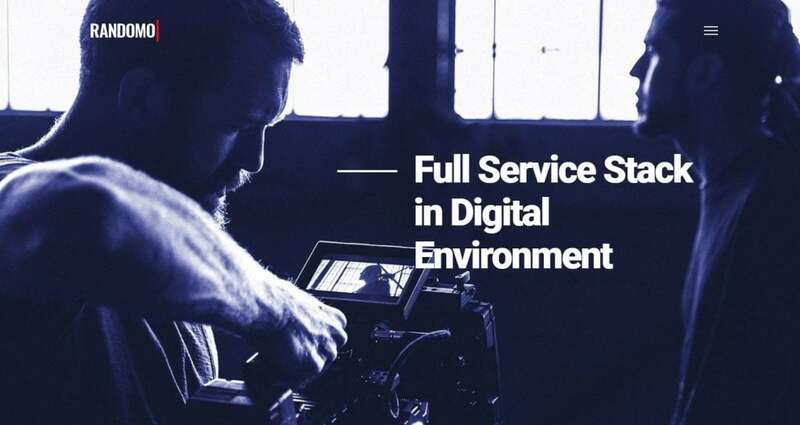 If the standard set of features isn’t enough for you, you can download additional pre-installed plugins to extend the functionality of your website. 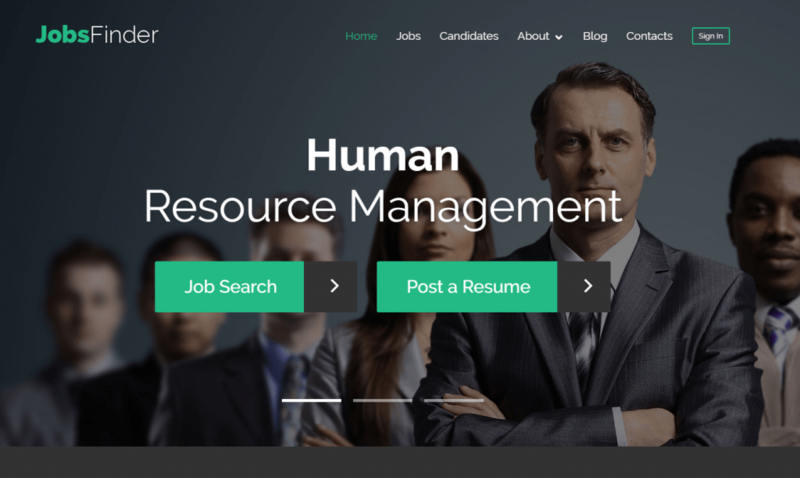 For your job portal, you can also choose Jobork template with a great variety of Cherry Plugins and widgets to create an appealing look of your website without dealing with coding. 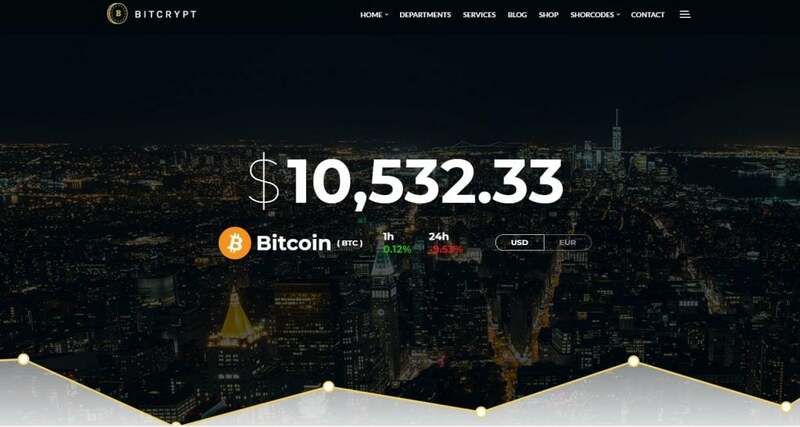 As you probably managed to guess, the following WordPress business templates are suitable for Bitcoin company website. 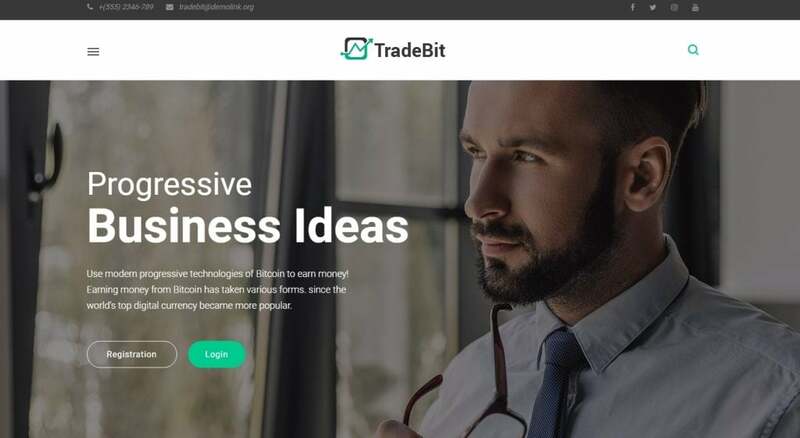 With the help of these themes, you will manage to create a popular and credible website for a company, which sells and buys Bitcoins, and attract the clients! Our bestseller is full of the useful plugins. 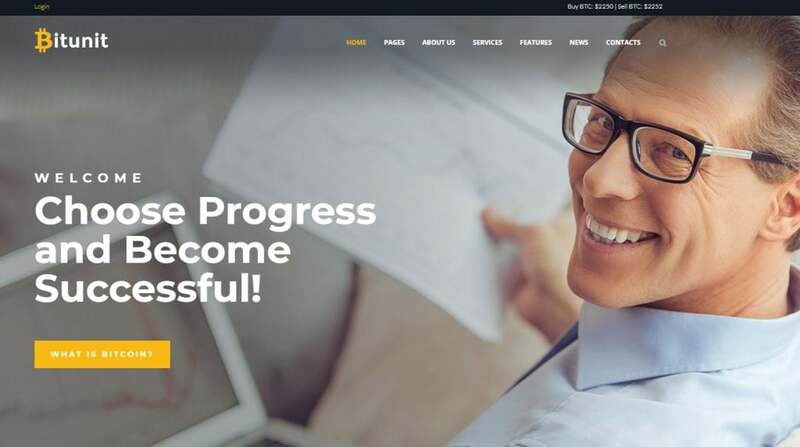 You will like the SmartSlider – a premium WordPress slider for creating animated sliders and blocks. 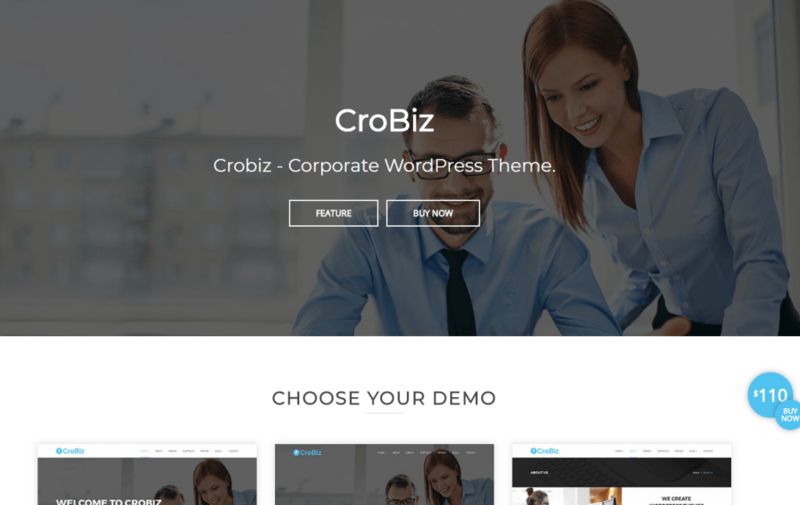 The template includes Cherry Projects Plugin. You will use it if you decide to present your achievements in the form of the project. 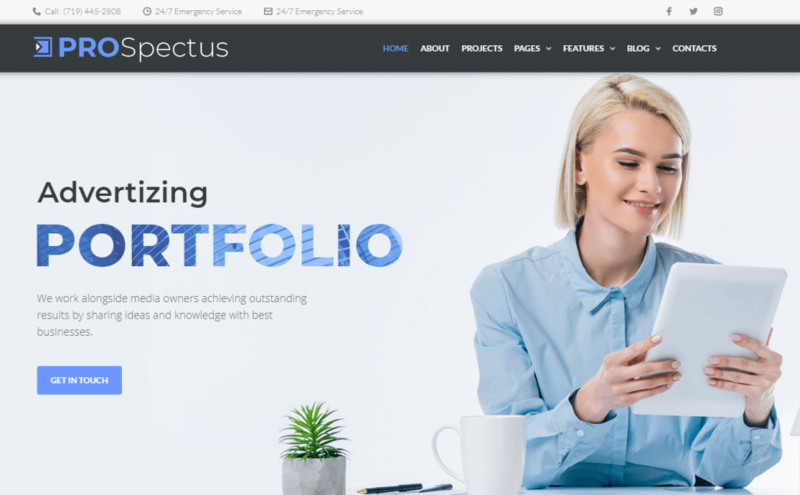 People, who want to place the portfolio, also use CherryProjects. 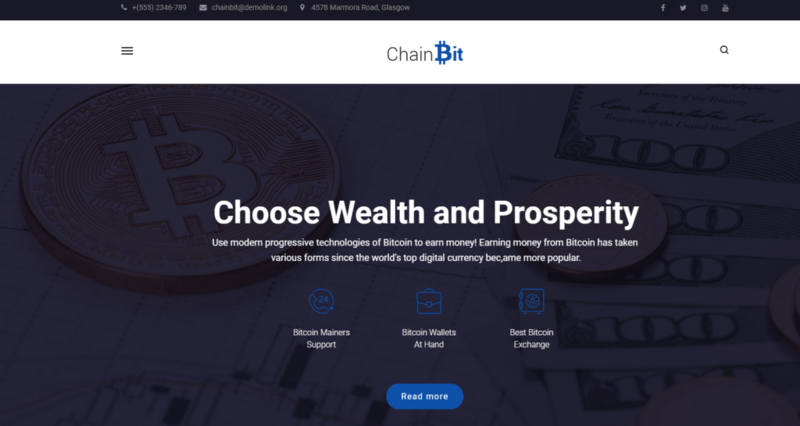 Packed with additional Jet Elements and Booked Appointment plugins, ChainBit is fully responsive and will look good on all devices. It includes Booking, Contact, Login, User Registration, Newsletter Subscription, and Search forms. 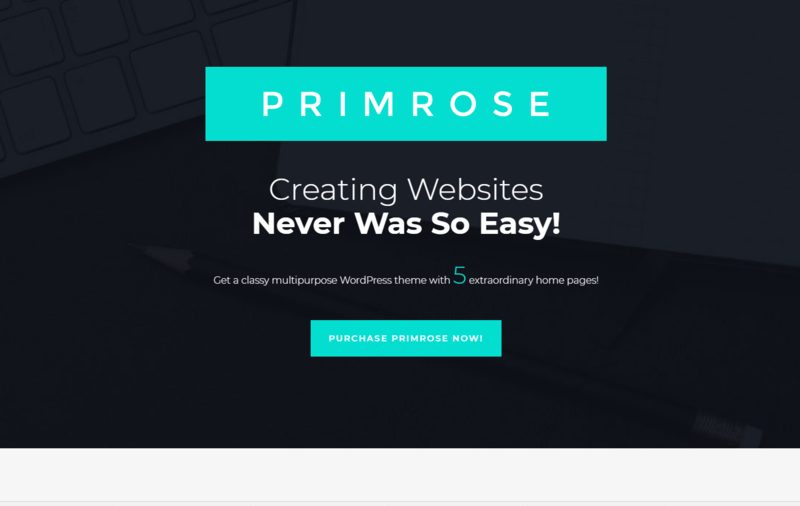 Try our newbie with a great number of layout elements and widgets! 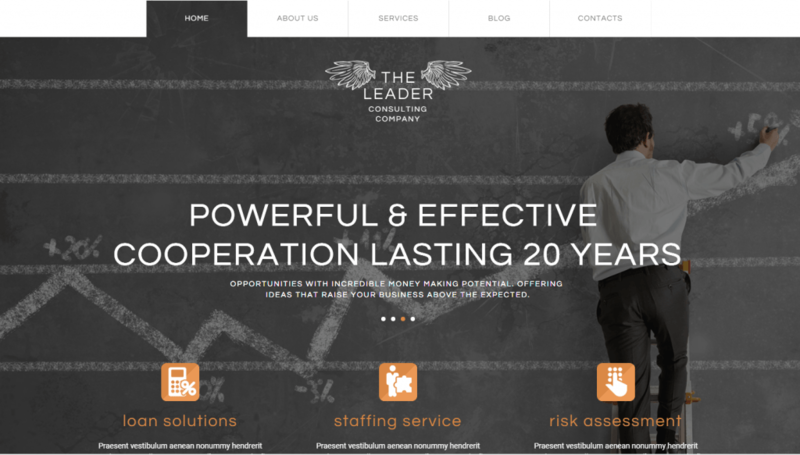 The newest template from our vendor is multipurpose and will fit different business niches. 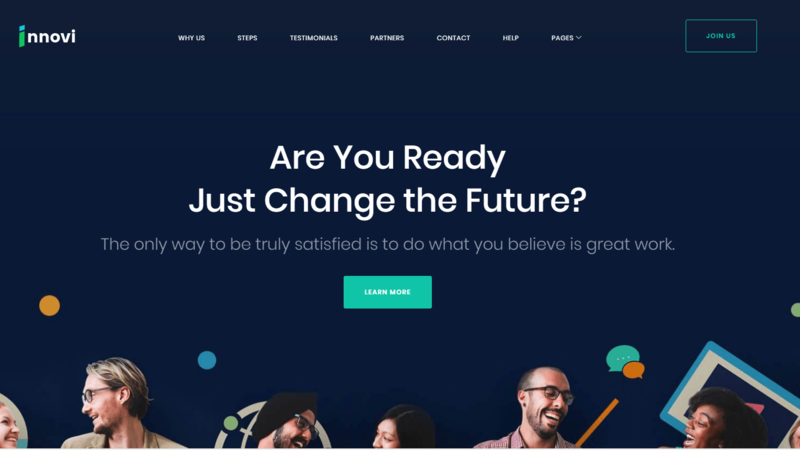 Revolution Slider, Yellow Pencil: Visual CSS Style Editor, Visual Composer Page Builder will help you to create an outstanding design. 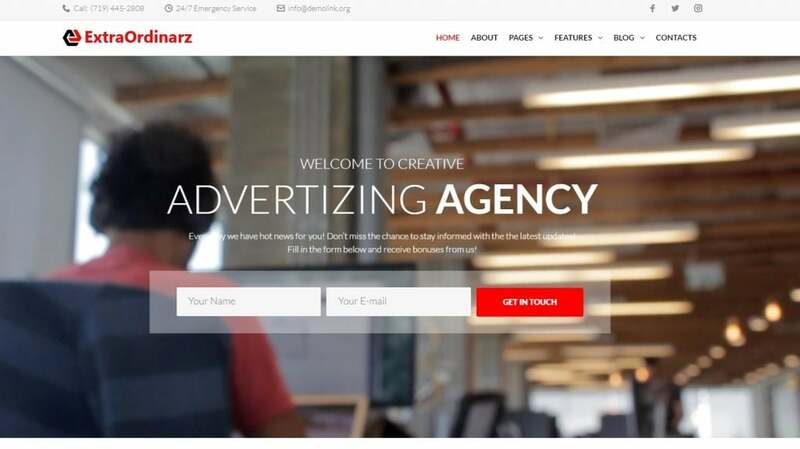 The following themes for public relations websites contain fantastic Cherry plugins and Jet elements for fast pages creating and customization. 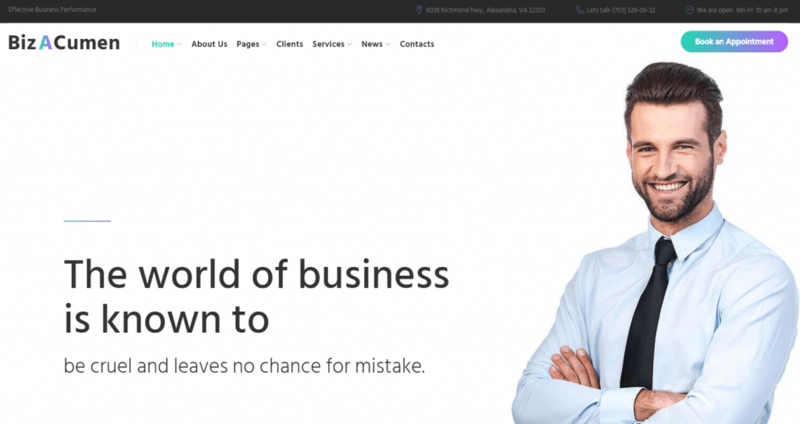 Here are a couple of our old but beautiful WordPress templates for business. 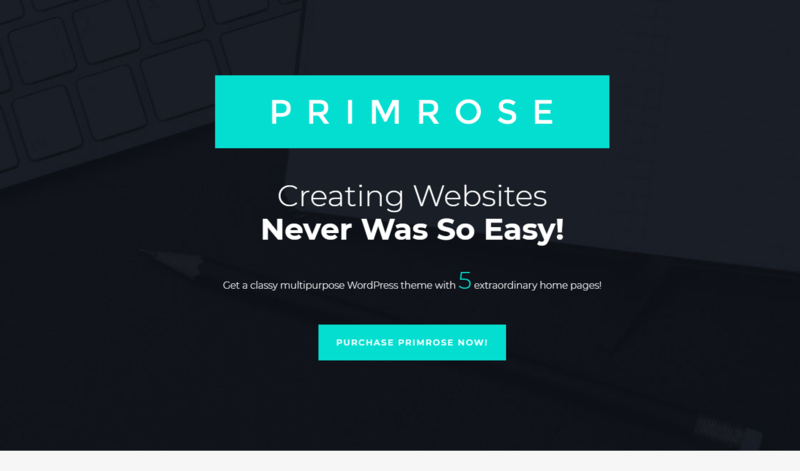 When creating a website, it’s reasonable to choose the easiest (though most productive) way. 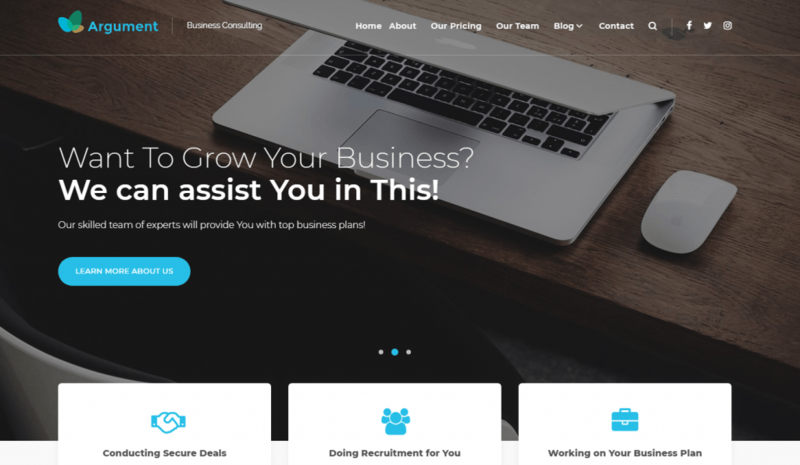 Building a website on your own and hiring freelancers or web design studios require time and money that you could spend on other things. 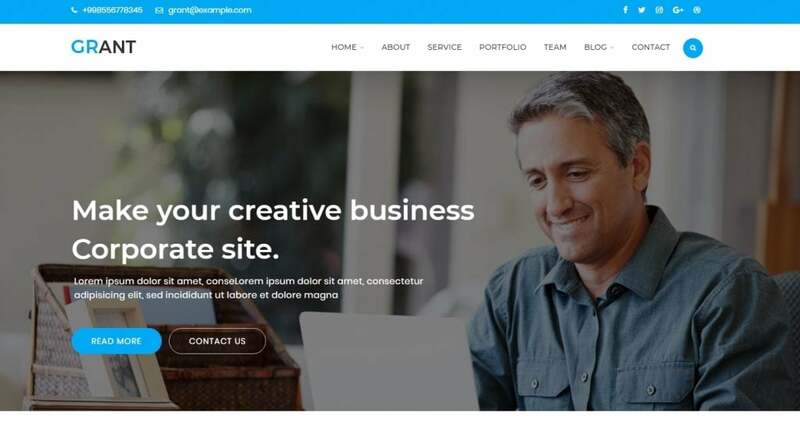 Spend your time with pleasure – choose one of the business WordPress templates from TemplateMonster and create a unique and stylish business website! 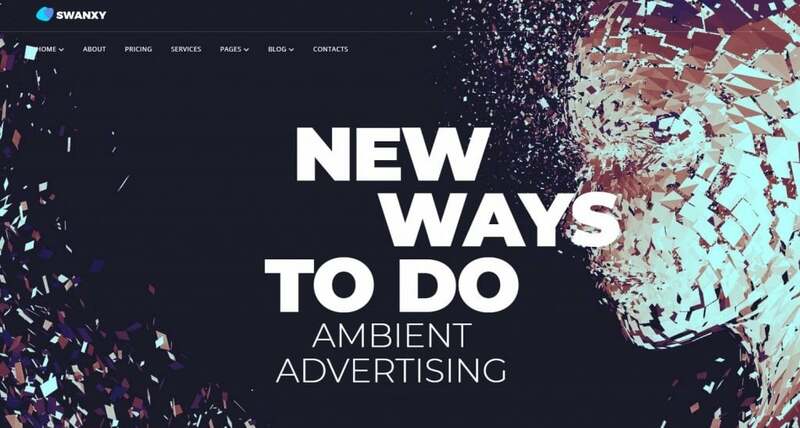 Planning to attract new clients to your advertising agency? Then you must have chosen the working strategy. 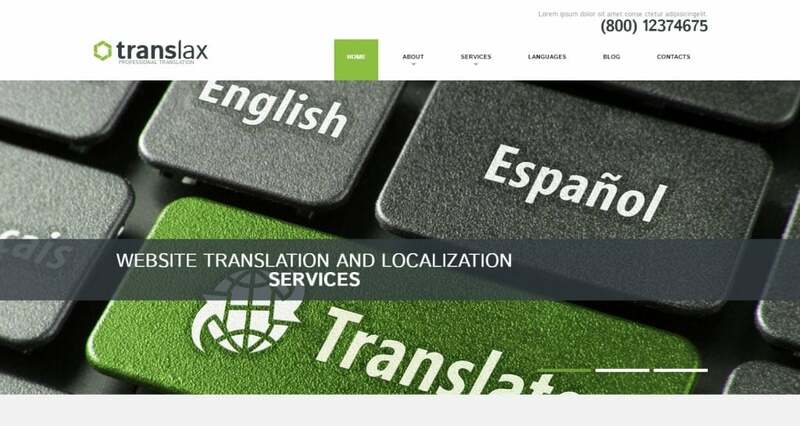 ExtraOrdinarz will help you to realize it on the Web. Being SEO friendly, it will help your website to become “visible” to your potential clients. 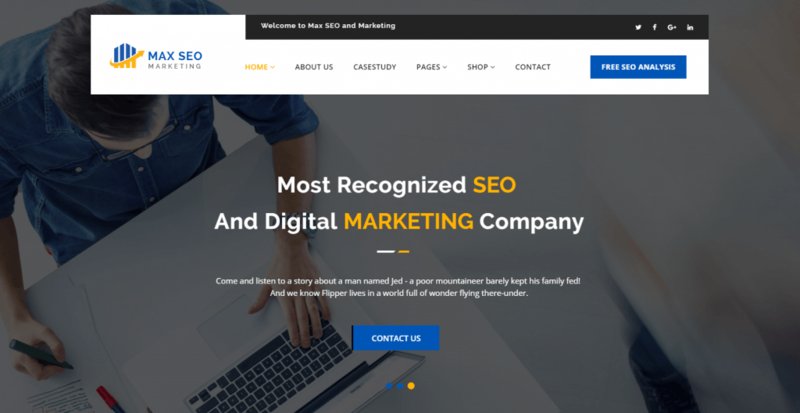 Along with SEO optimization, it has advantages such as easy page customization with the help of Elementor Page Builder, Sample Data Installer, Visual Editor, a wide variety of web forms, etc. 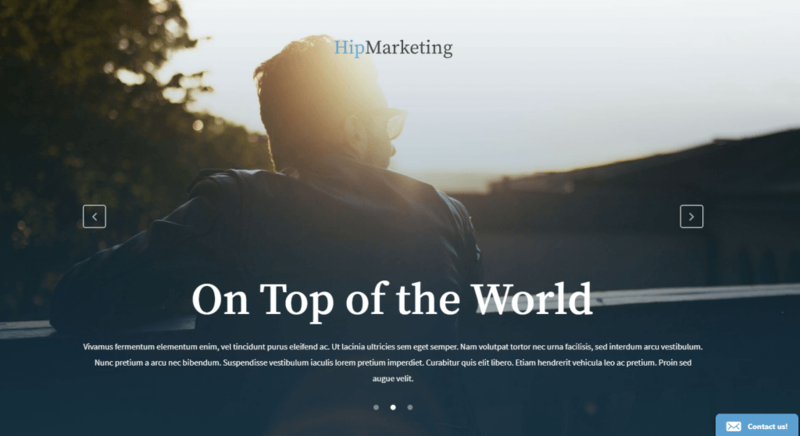 This entry was posted in Articles, WordPress Themes. Bookmark the permalink.